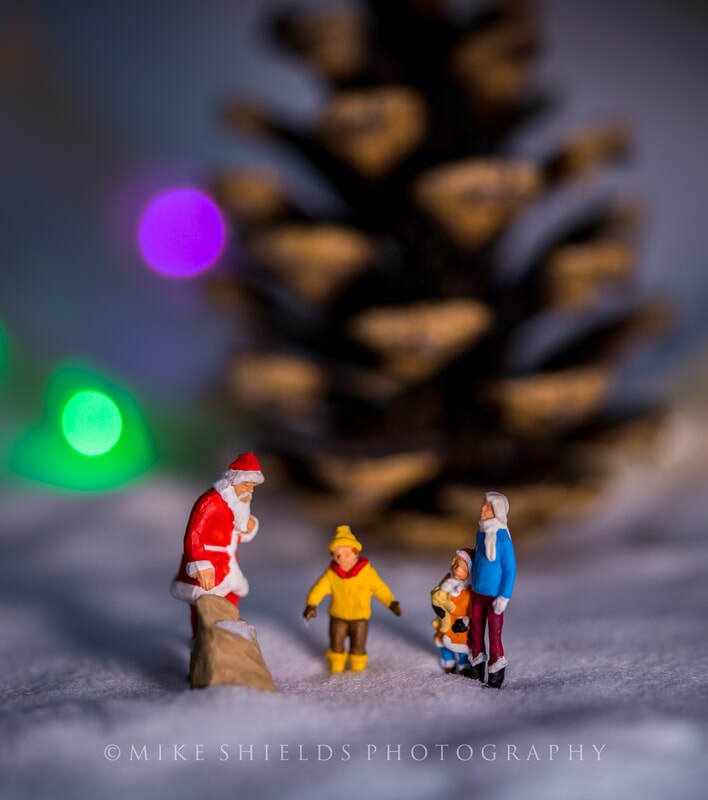 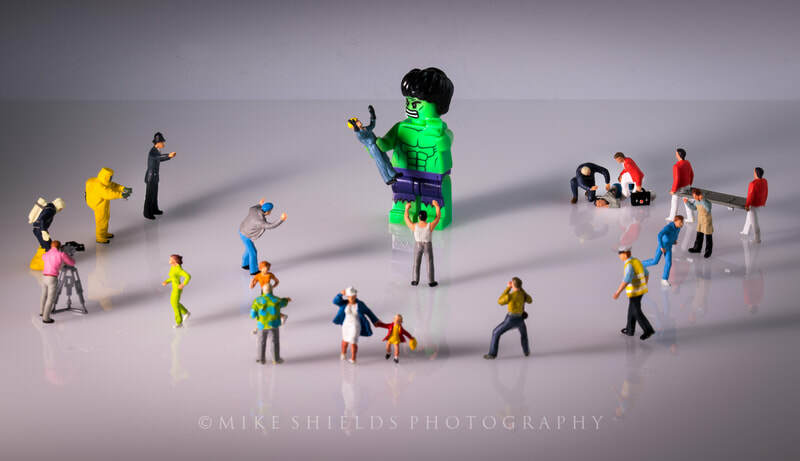 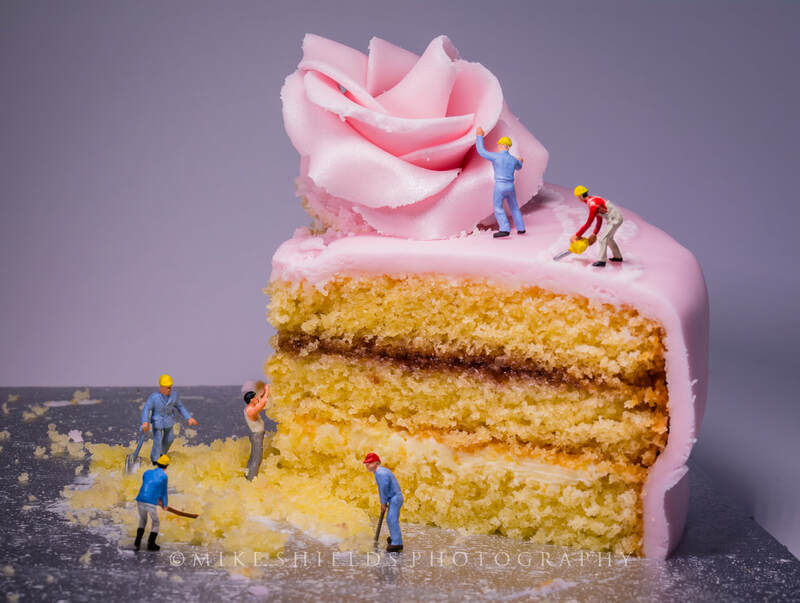 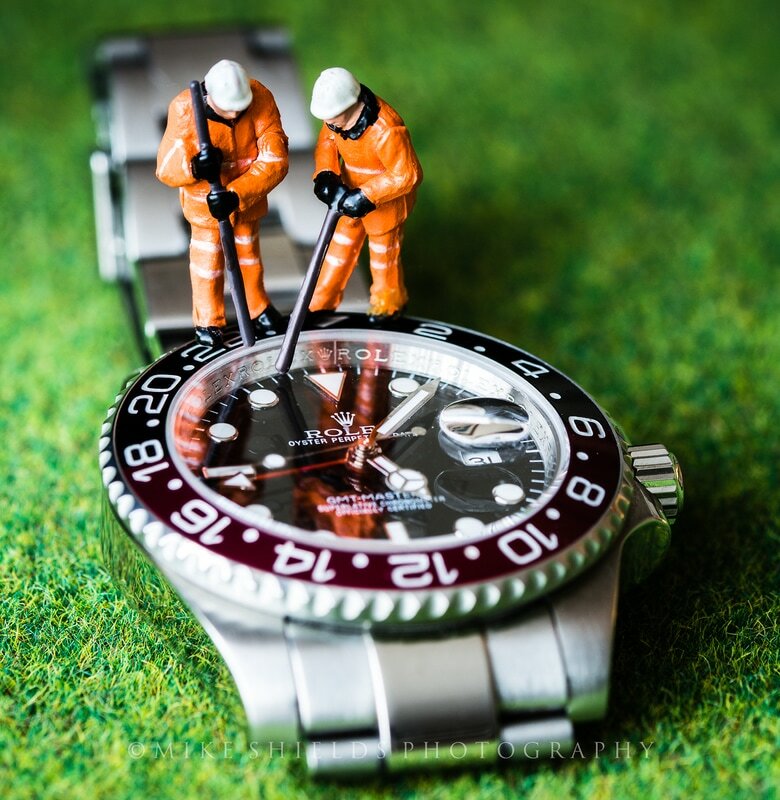 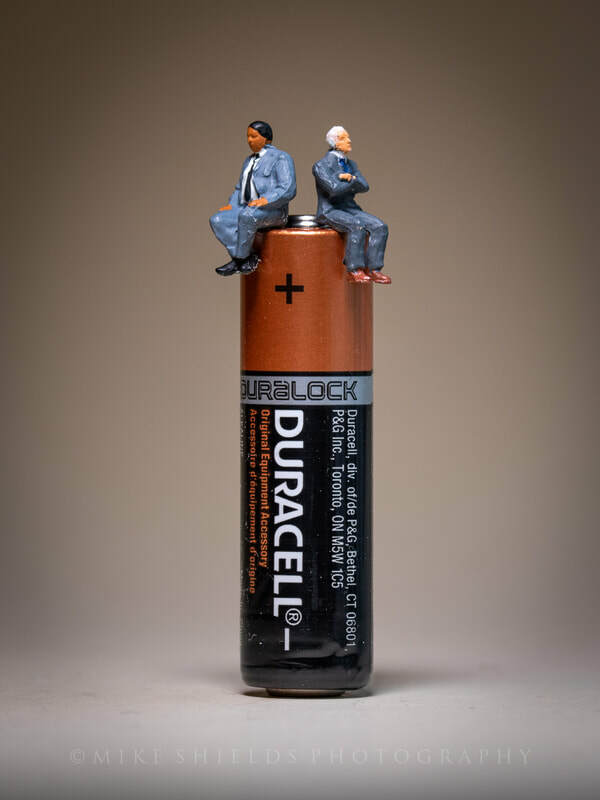 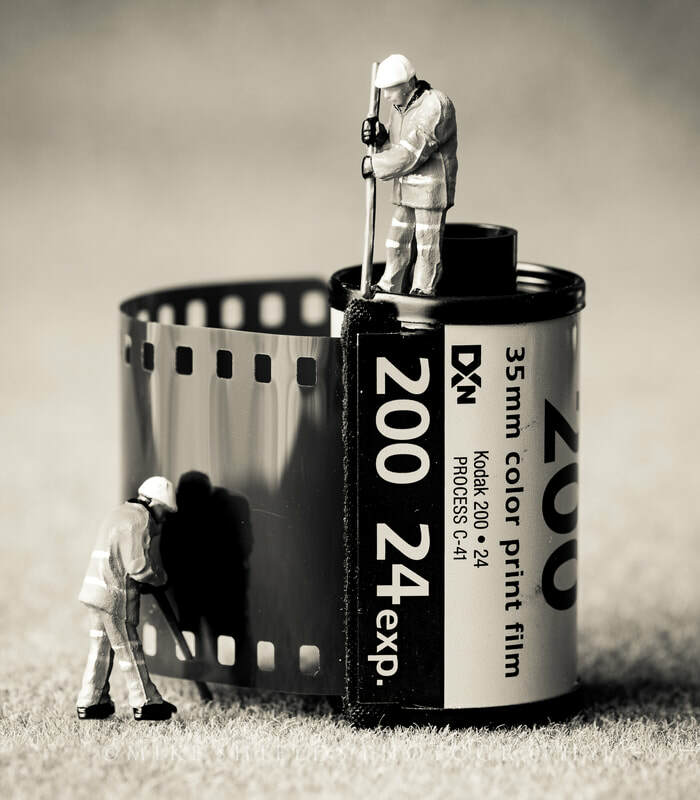 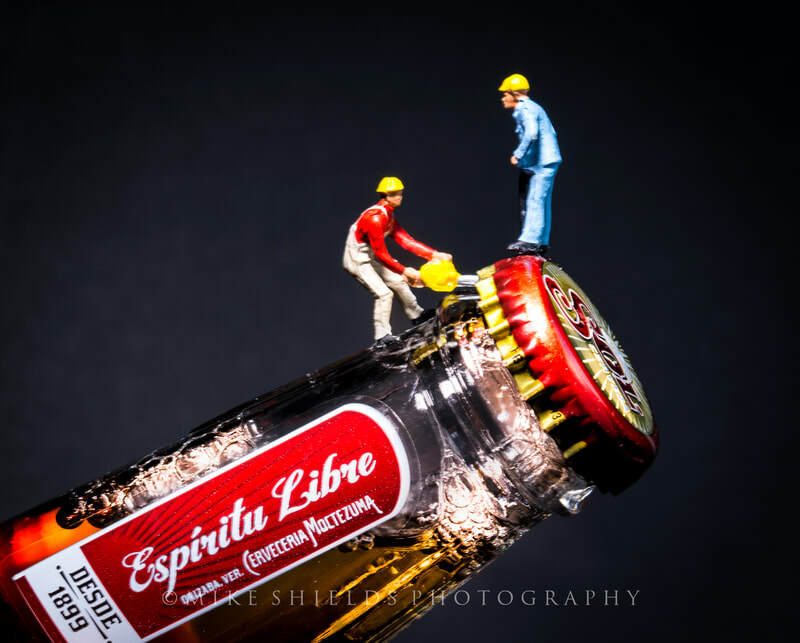 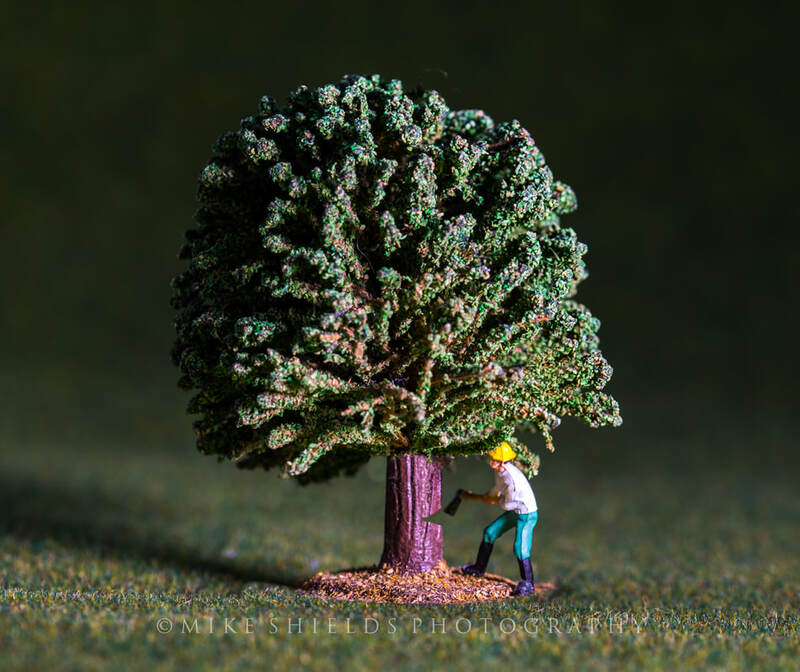 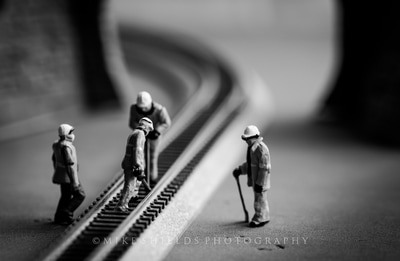 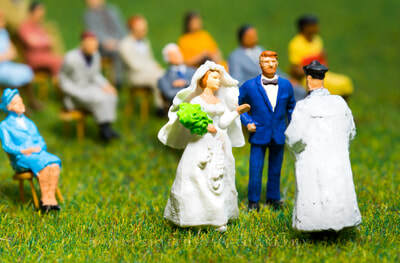 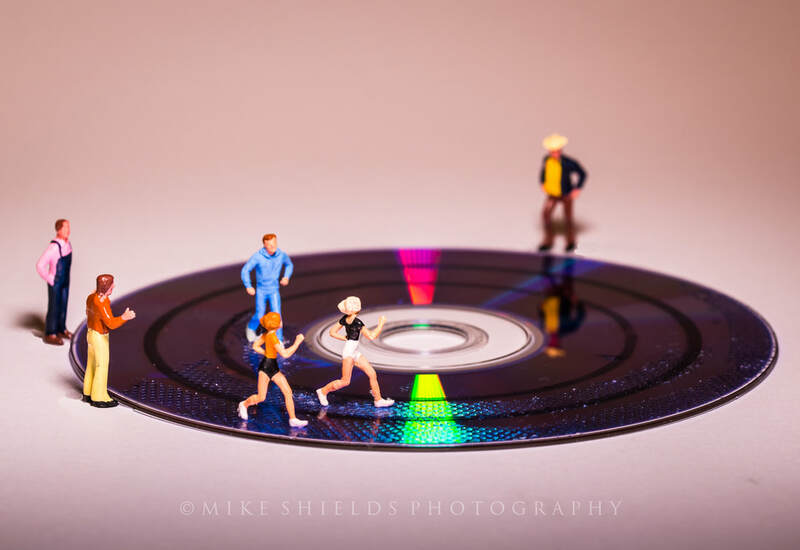 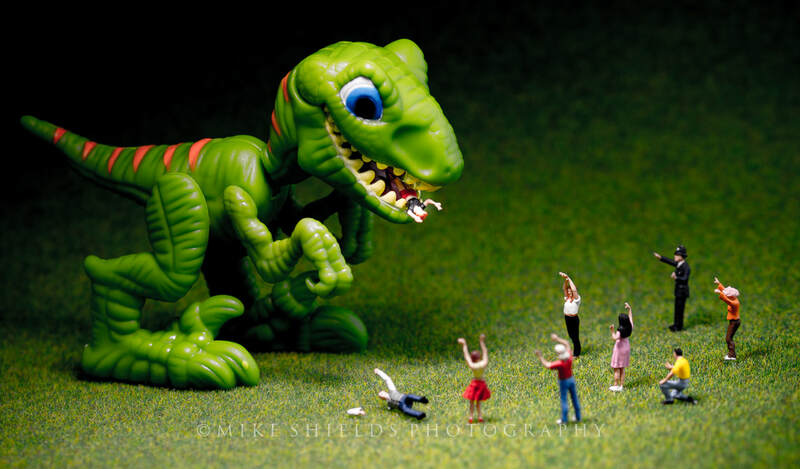 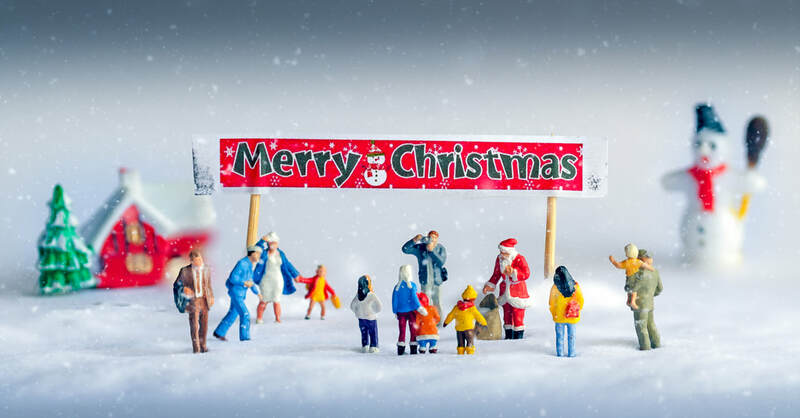 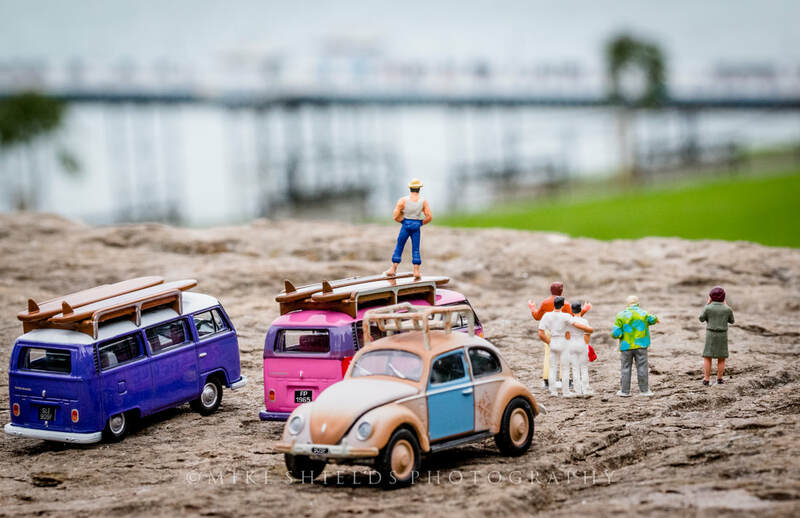 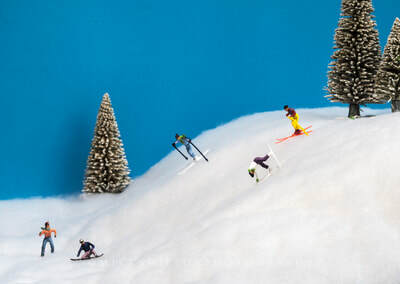 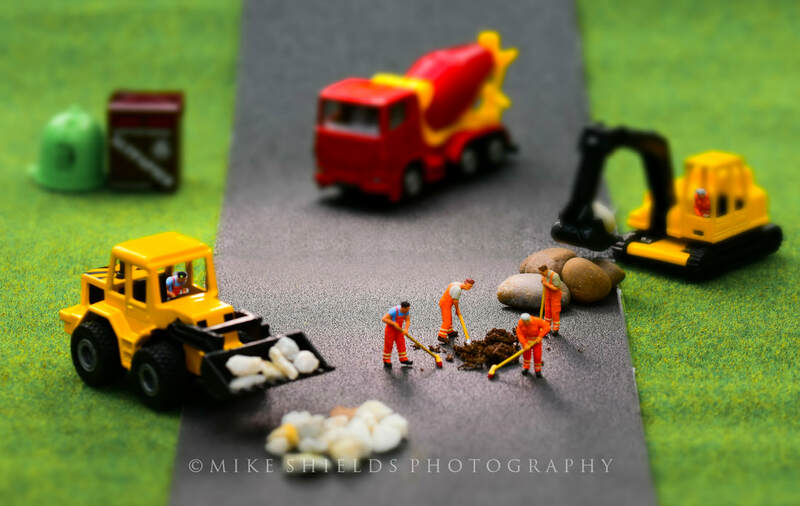 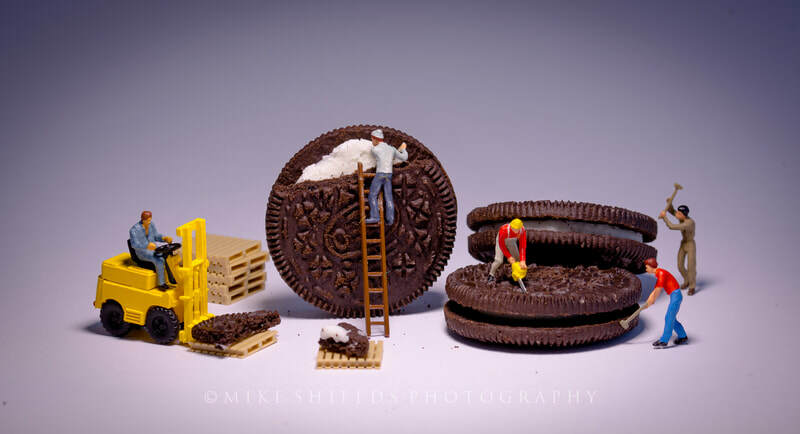 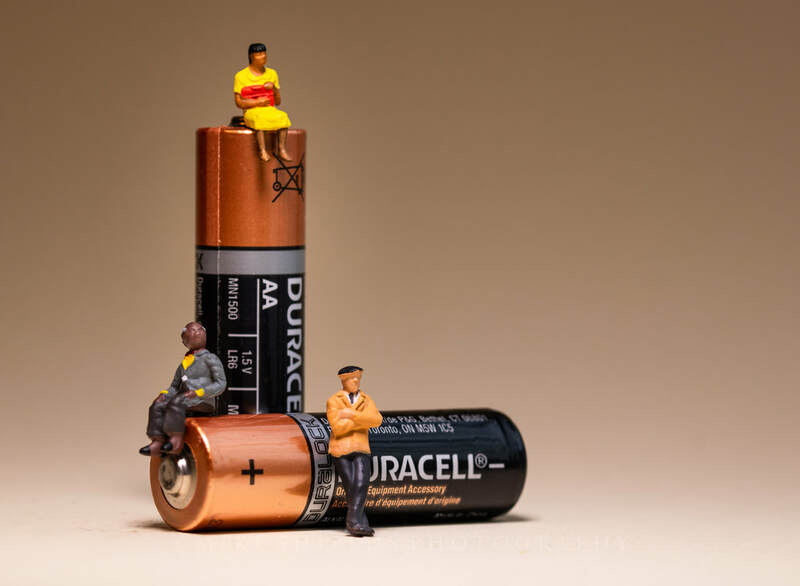 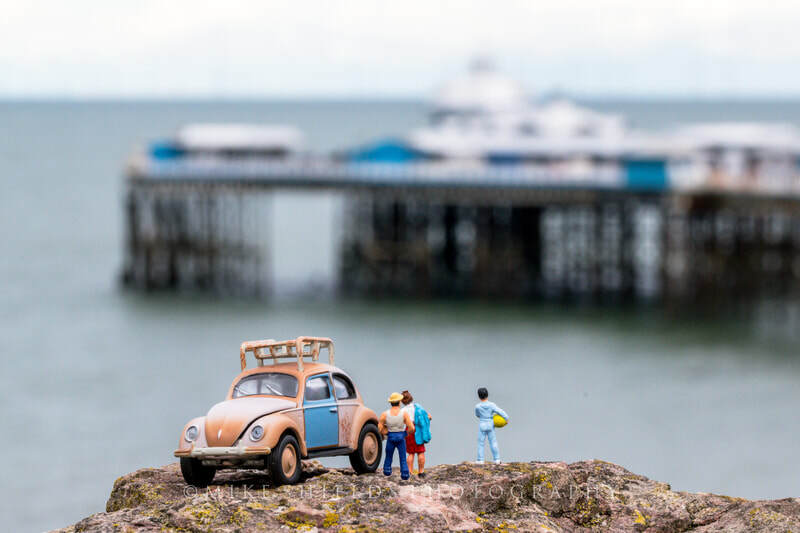 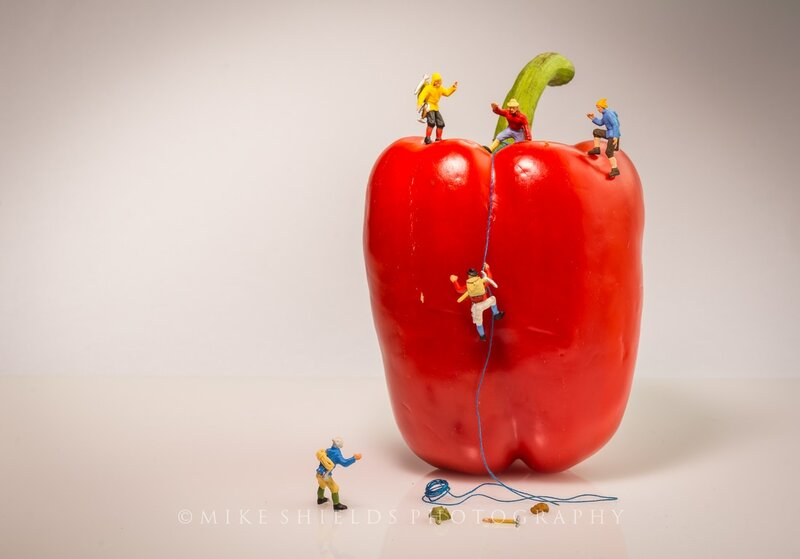 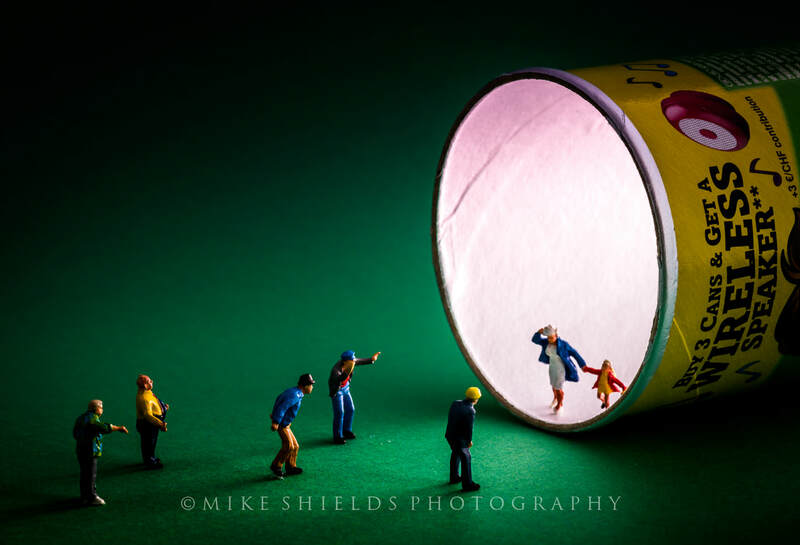 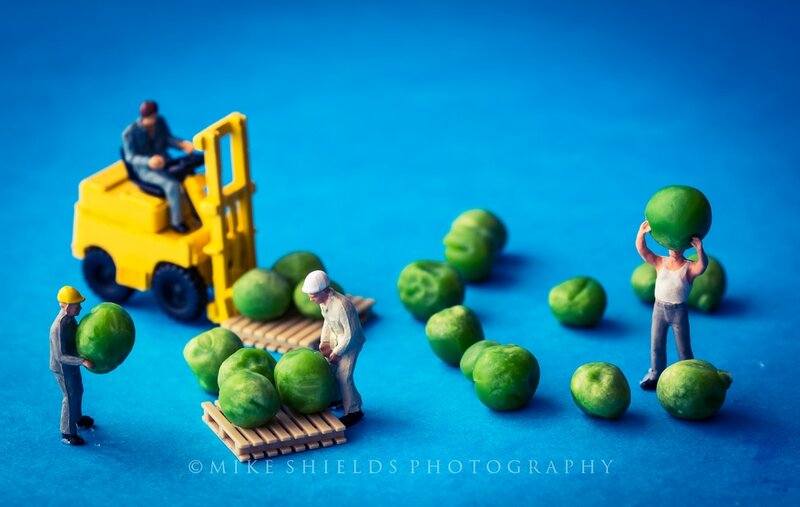 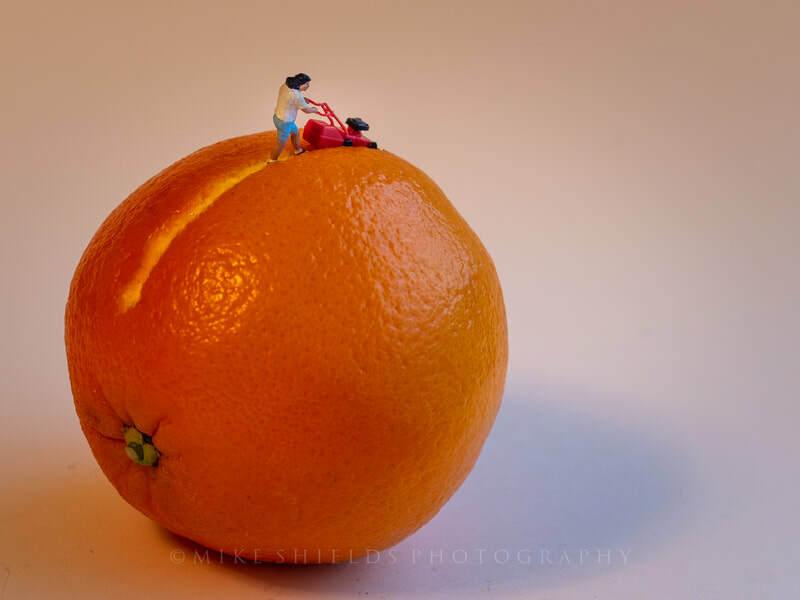 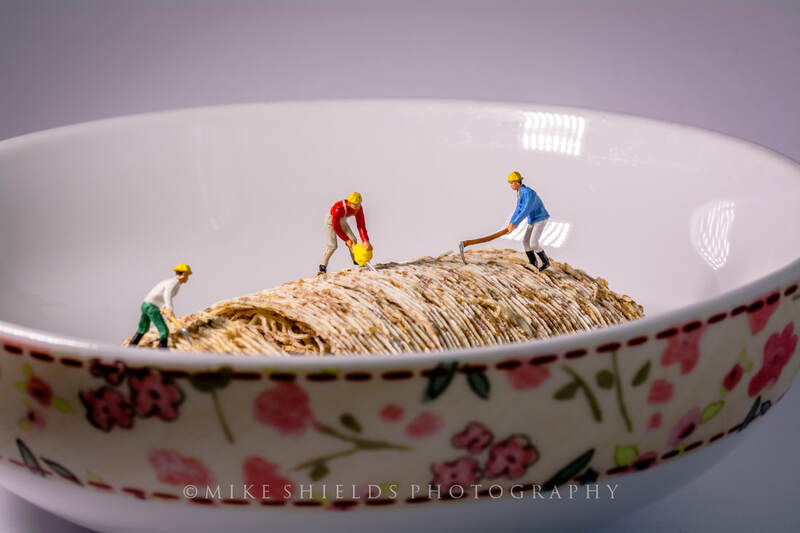 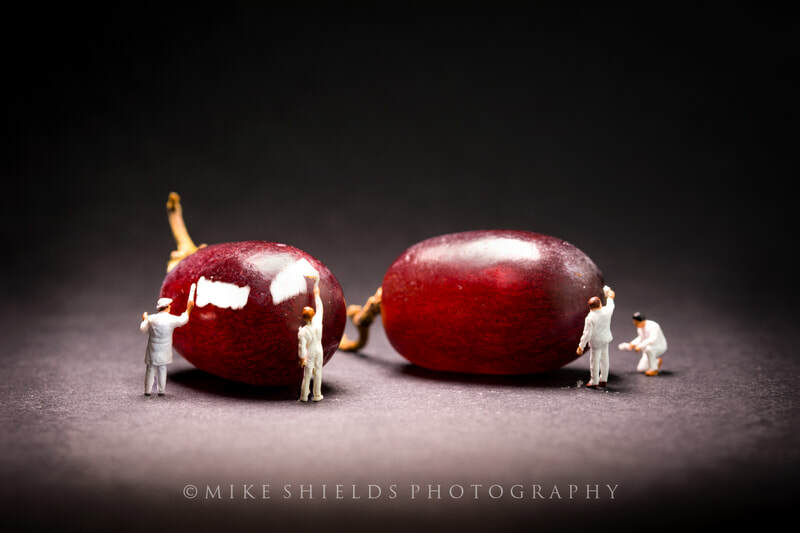 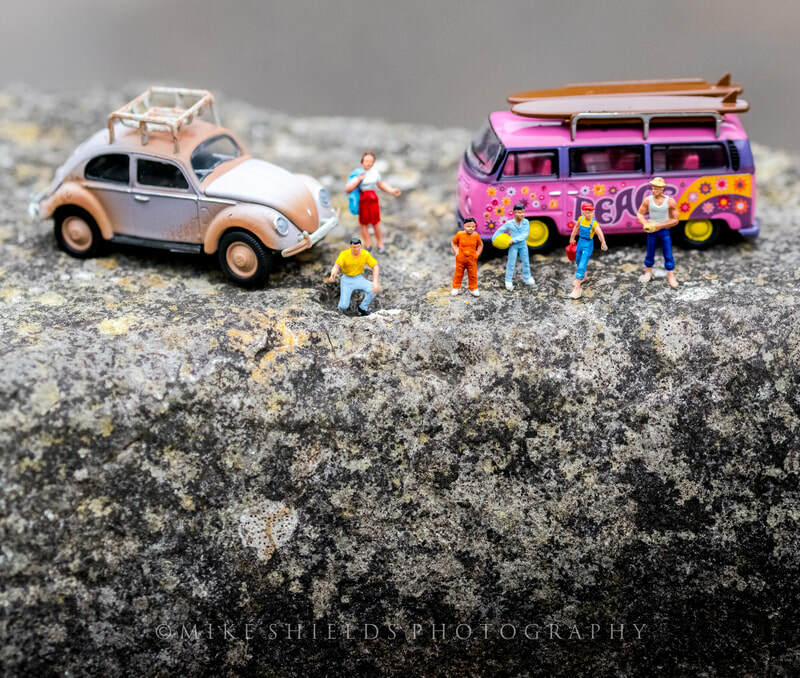 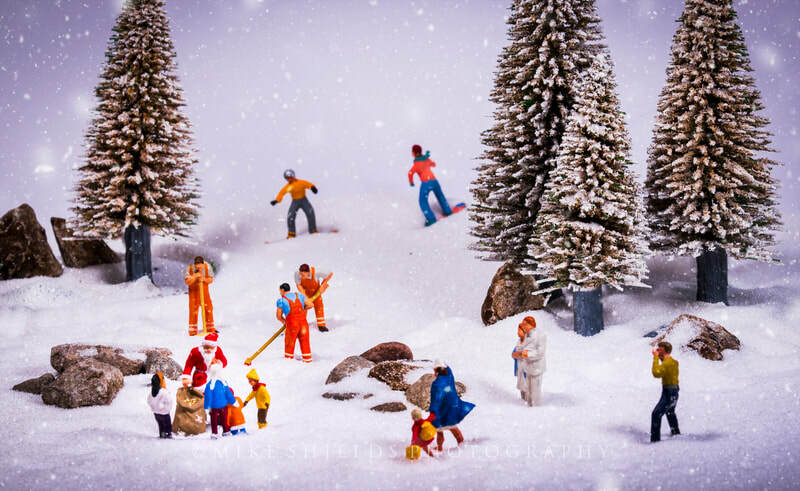 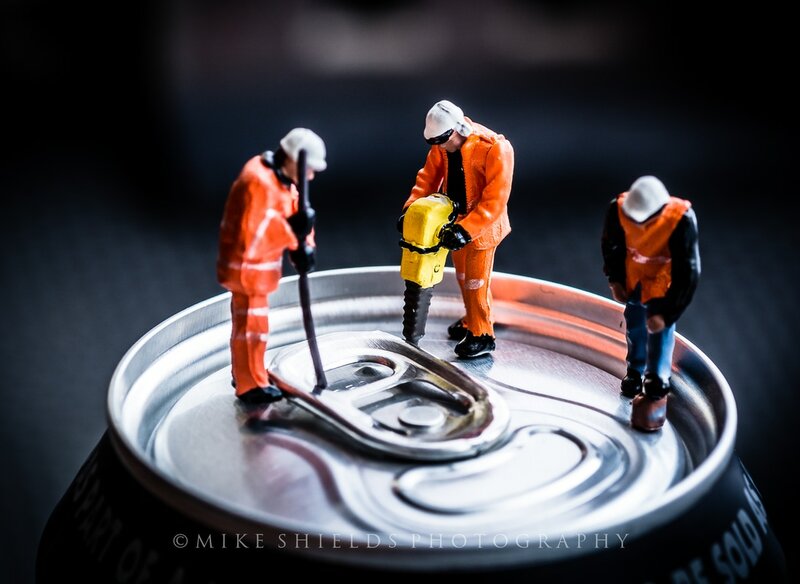 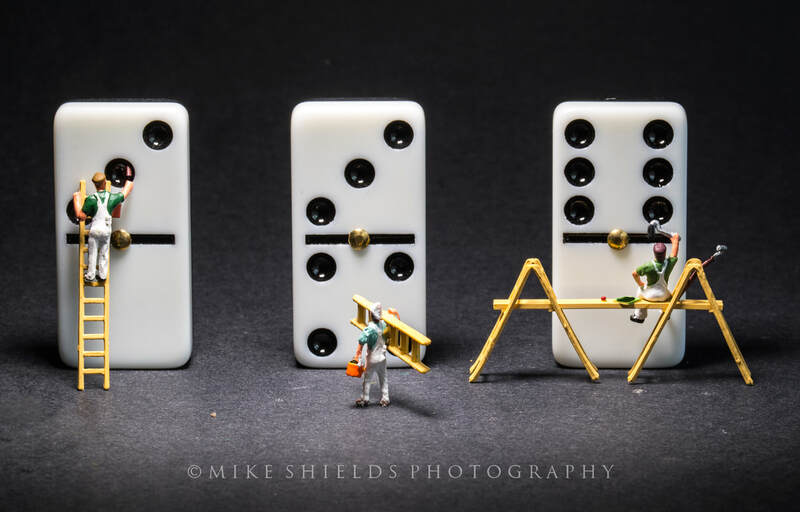 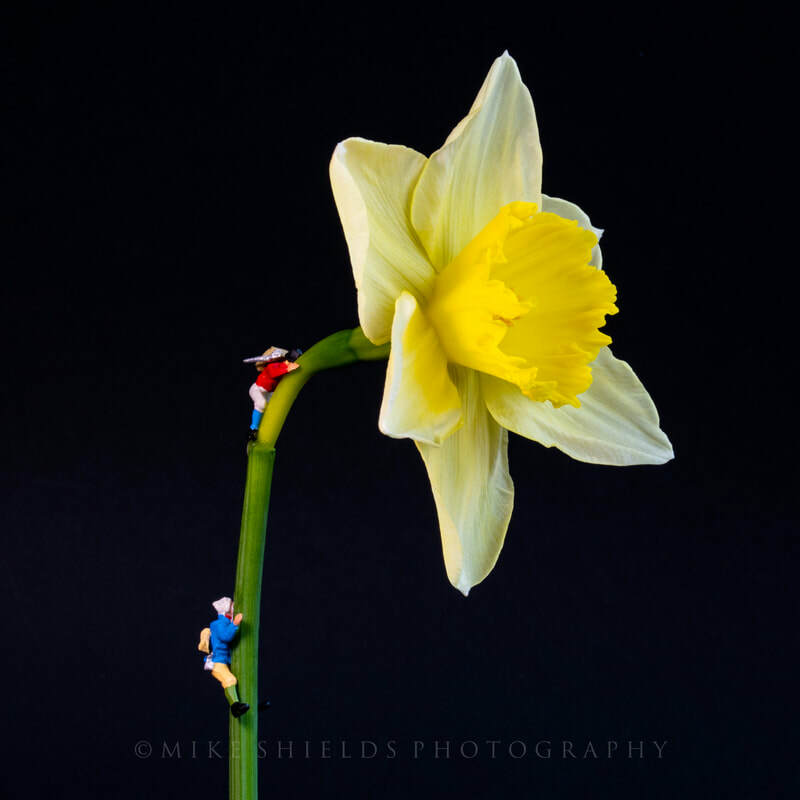 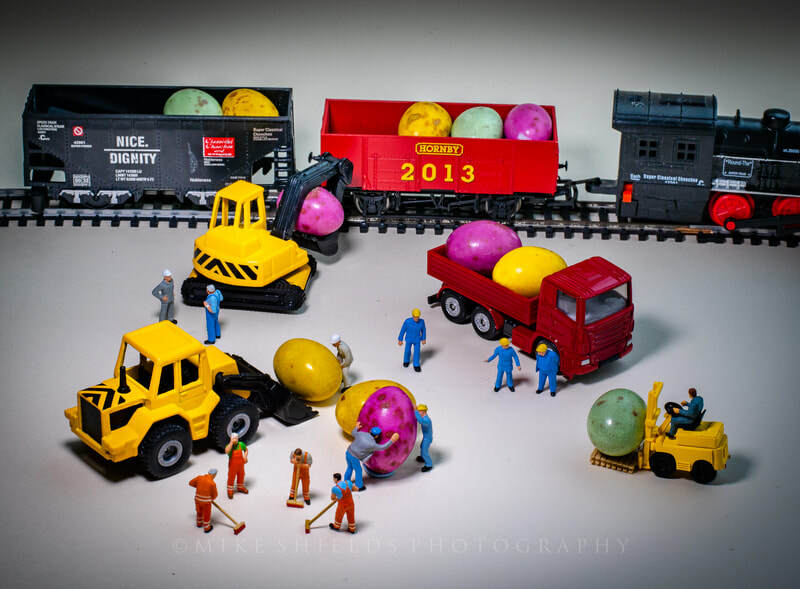 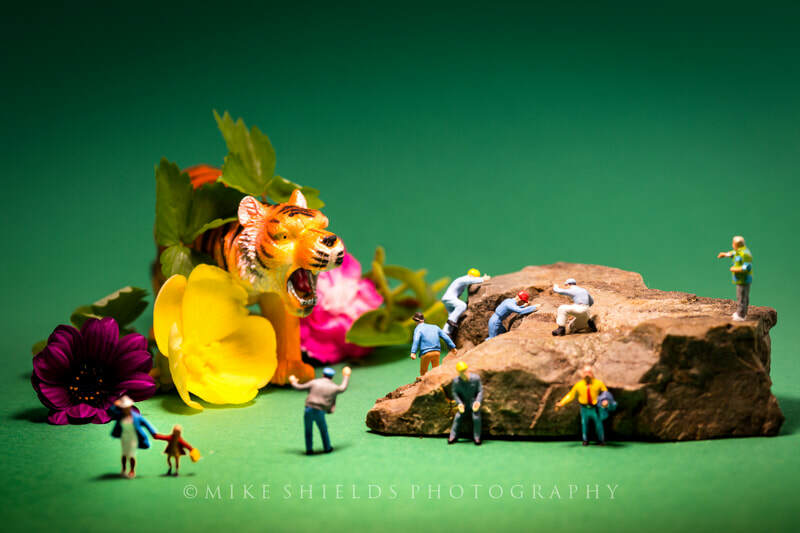 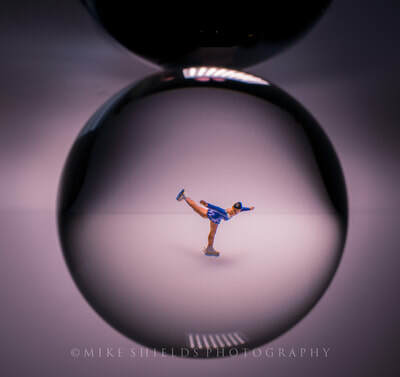 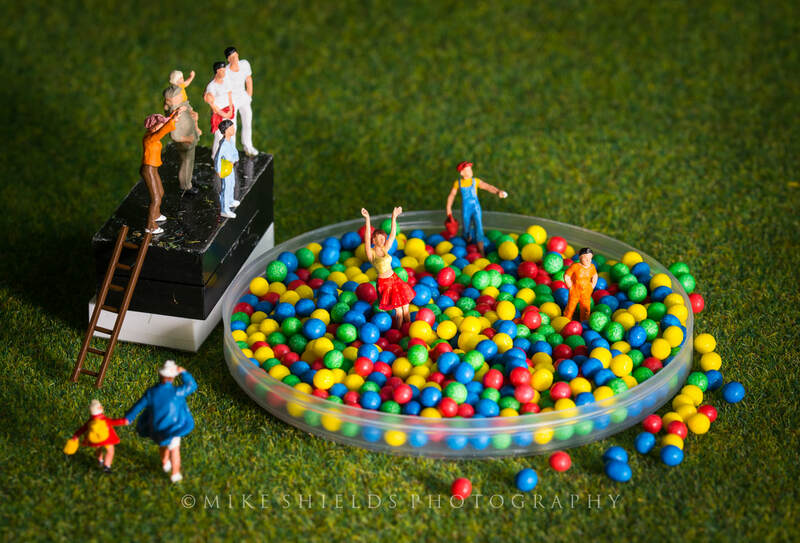 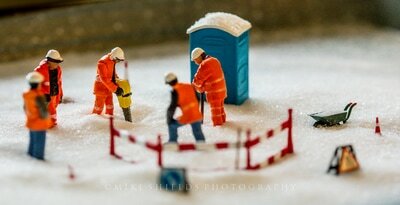 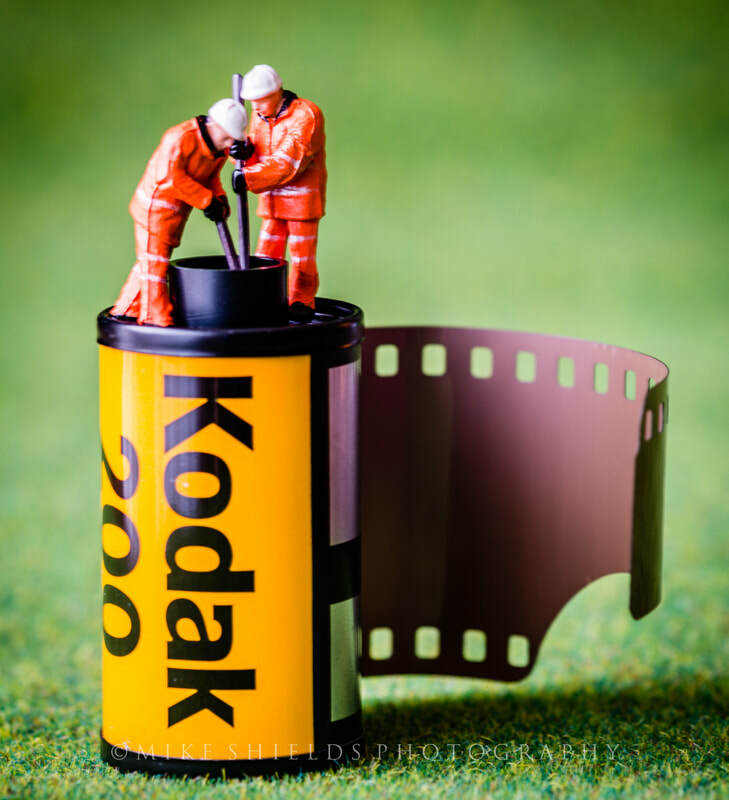 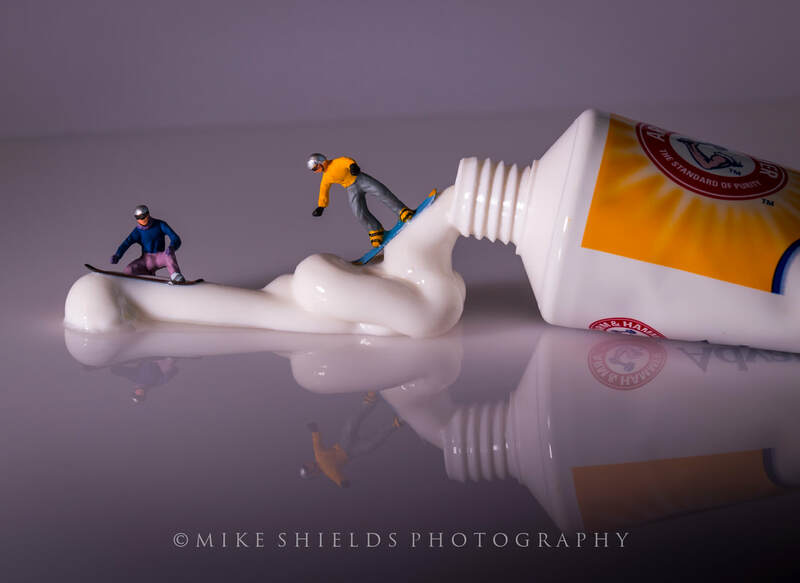 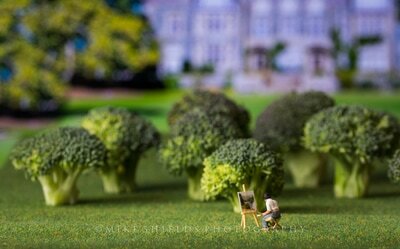 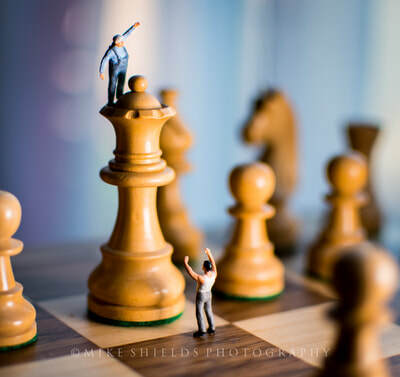 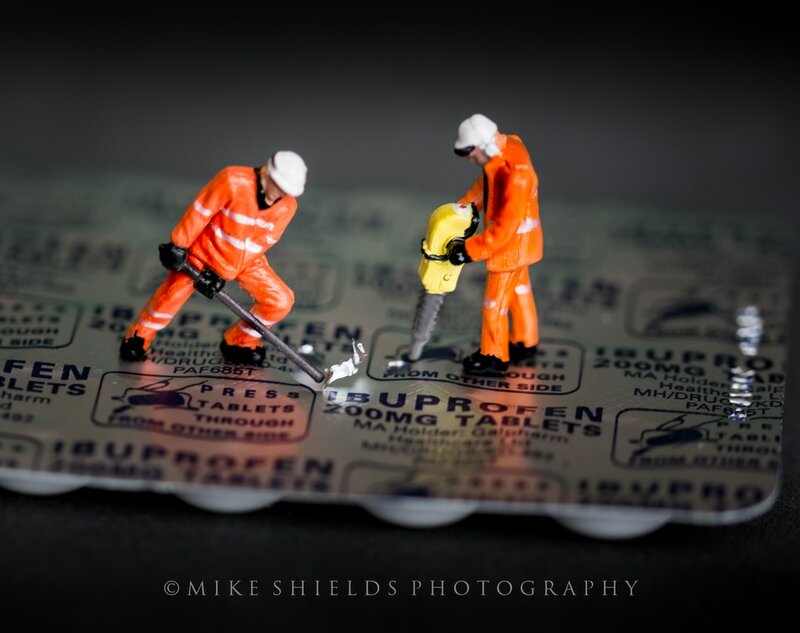 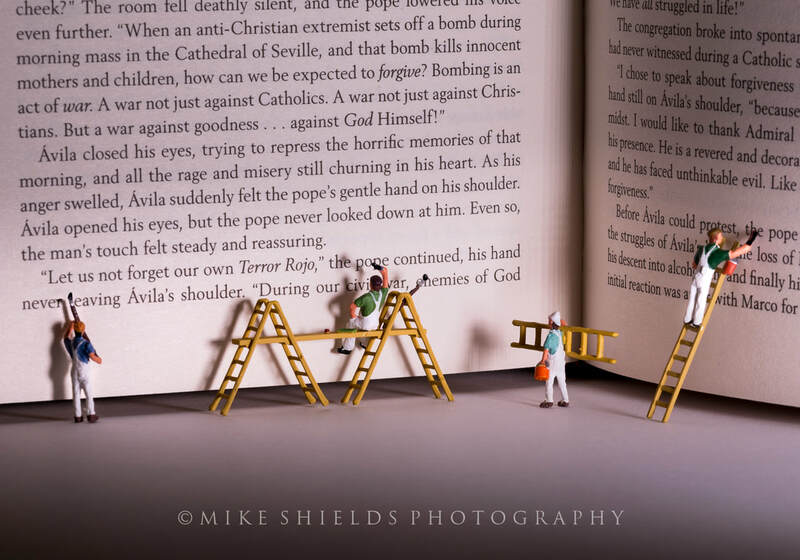 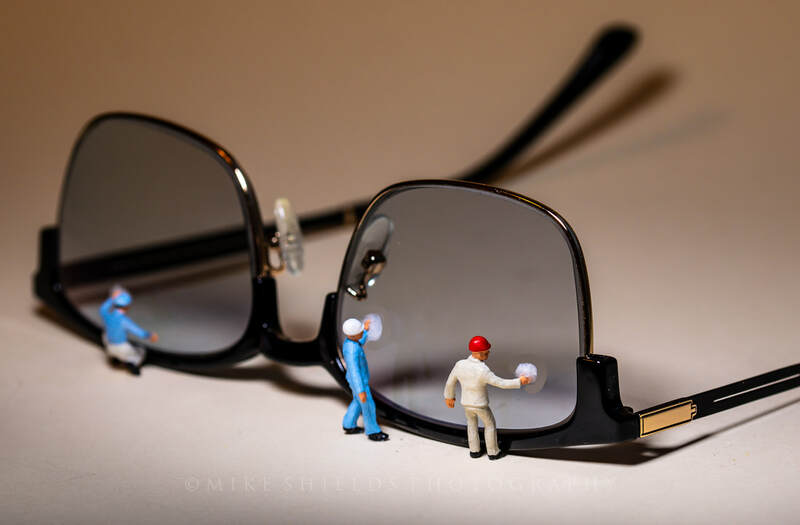 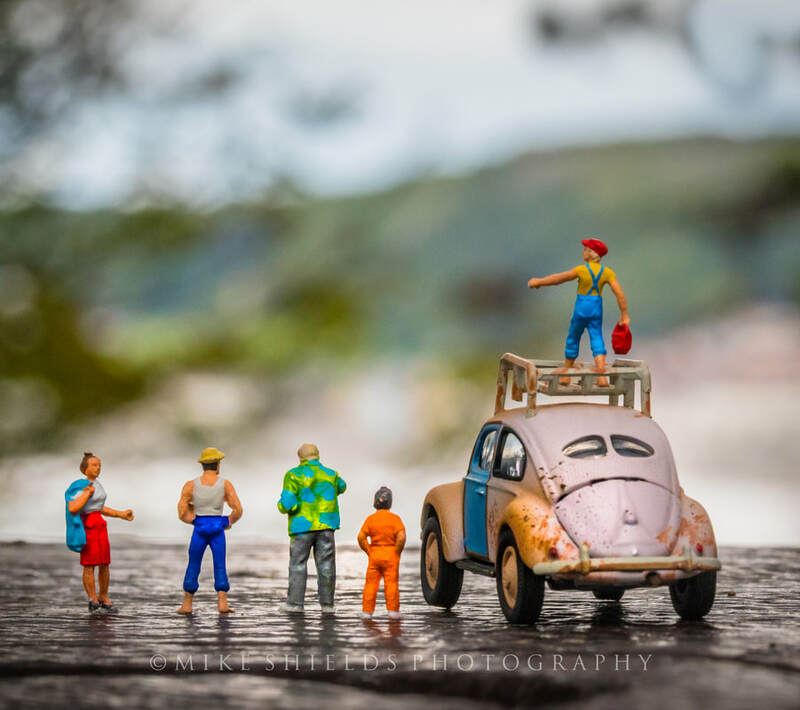 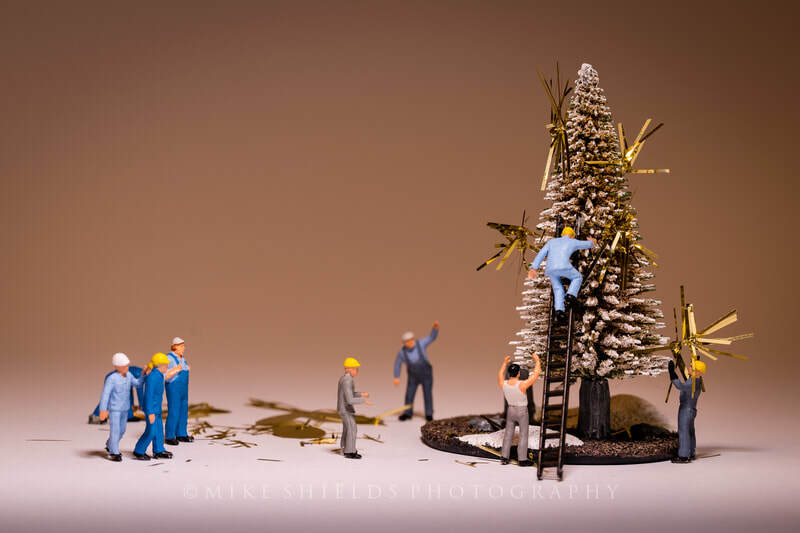 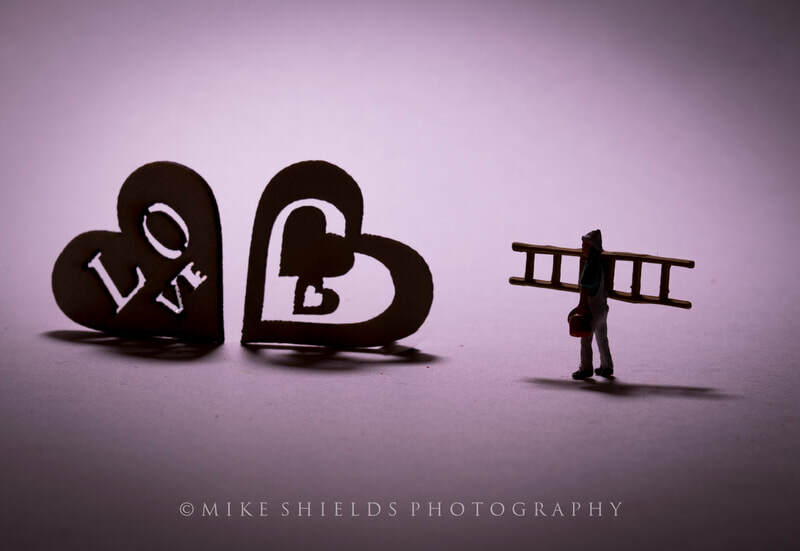 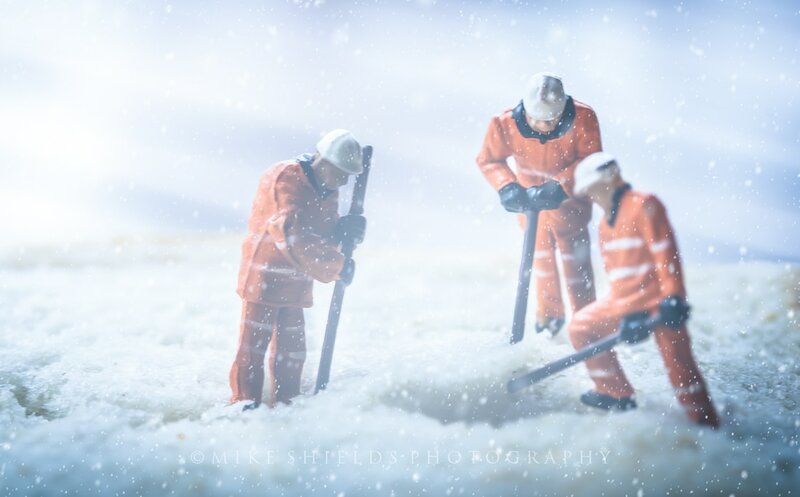 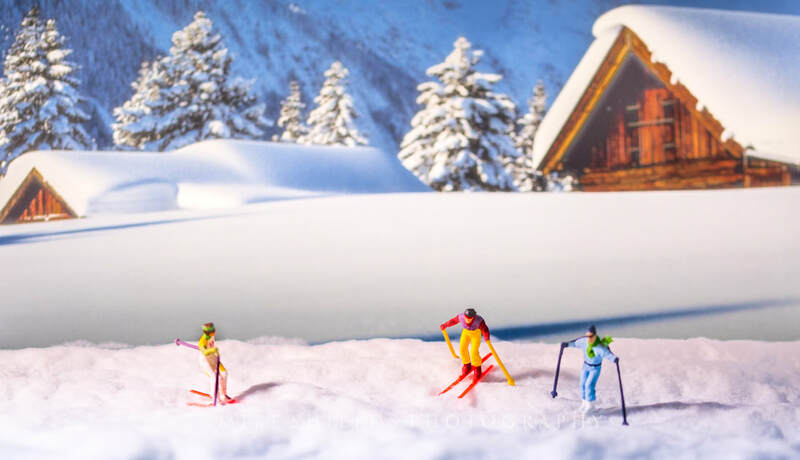 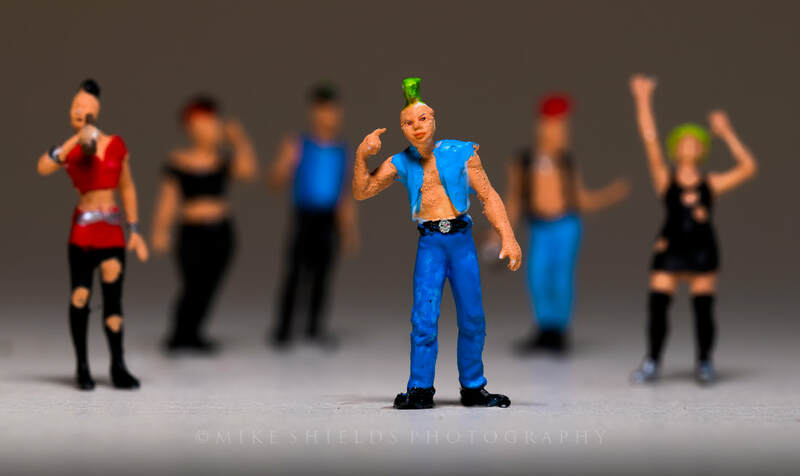 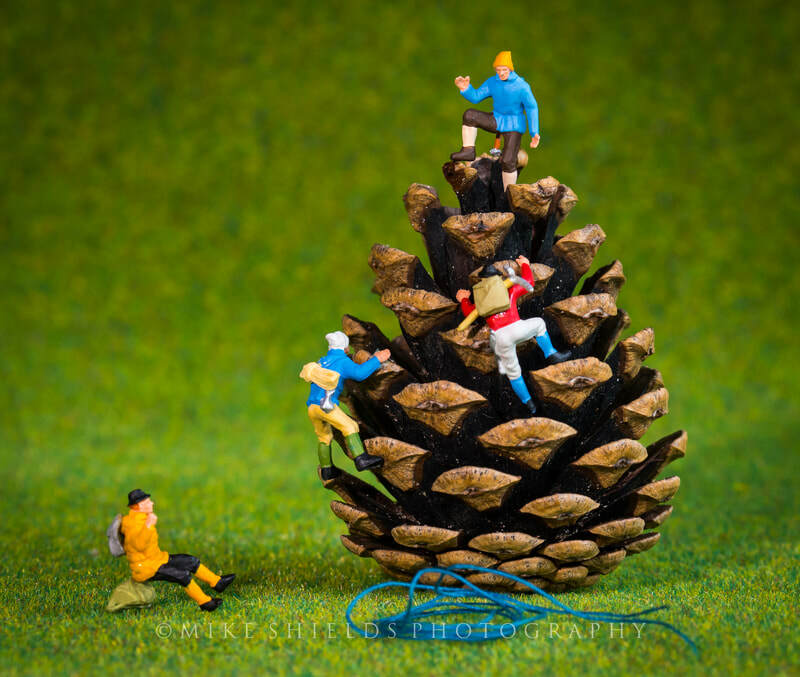 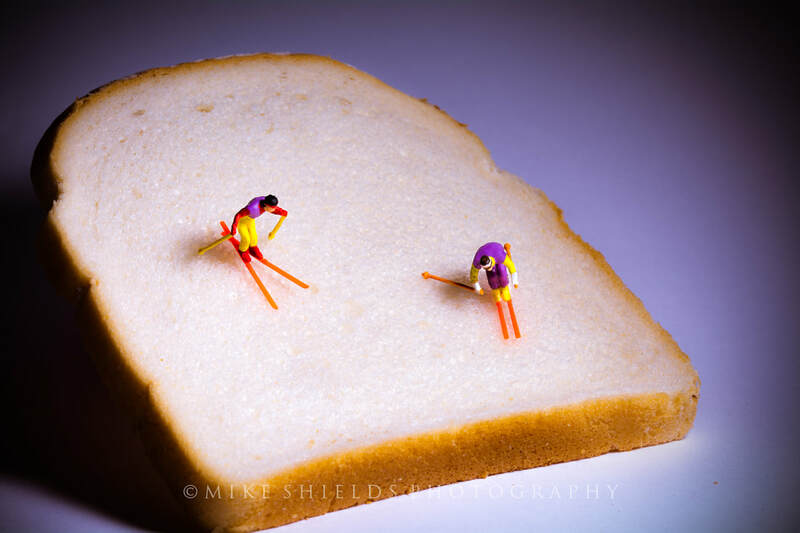 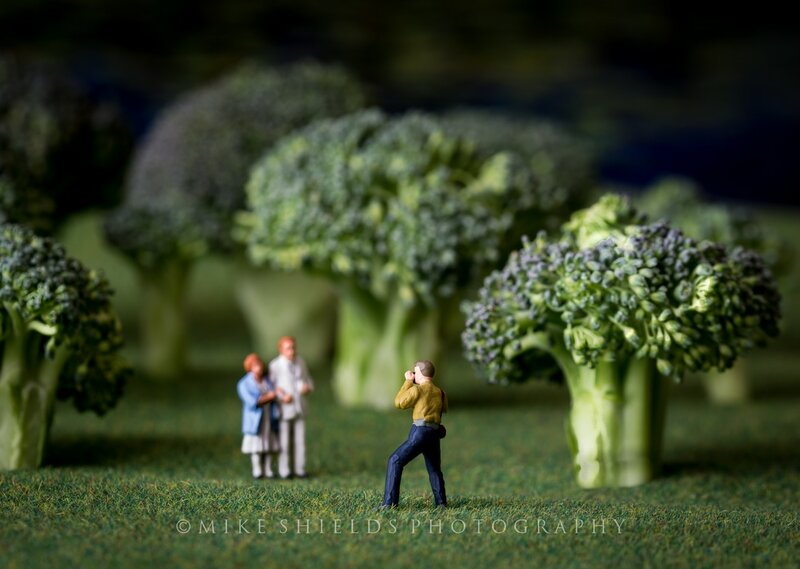 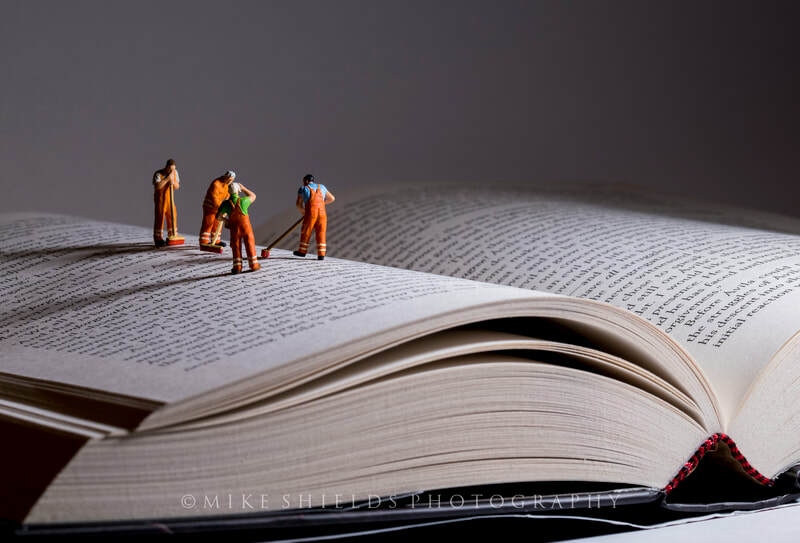 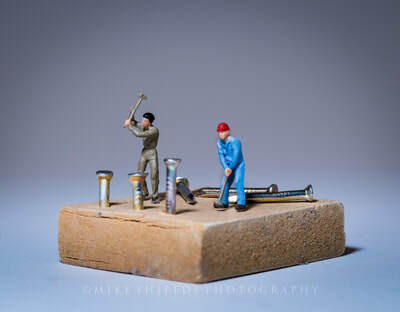 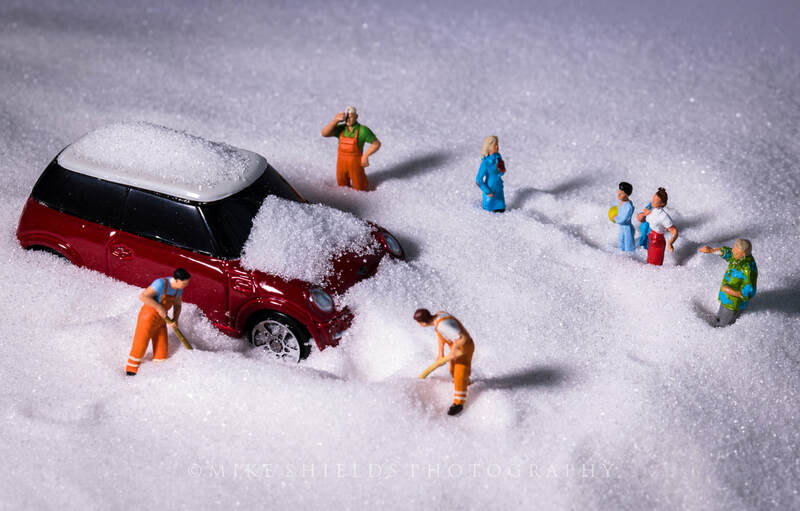 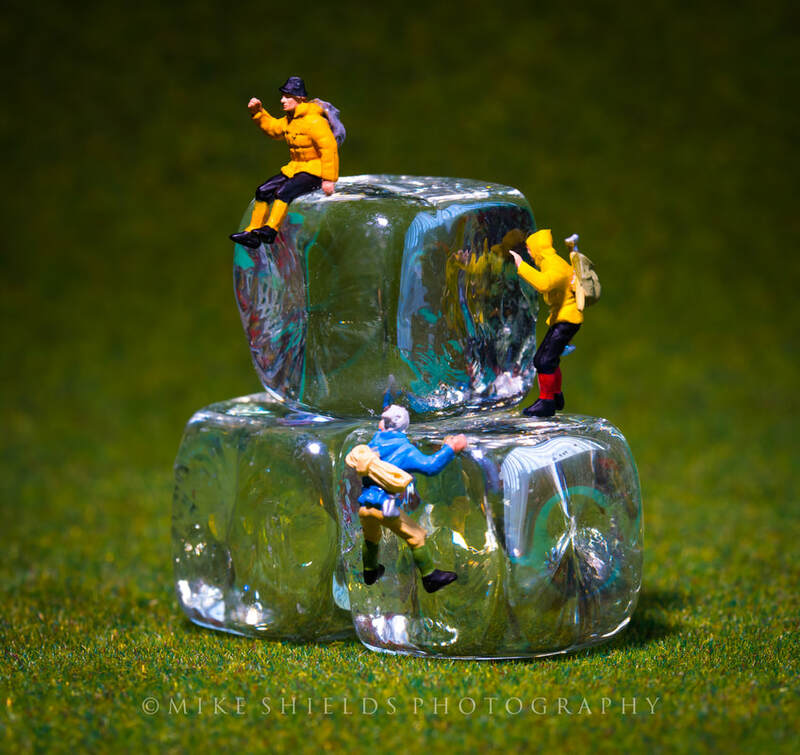 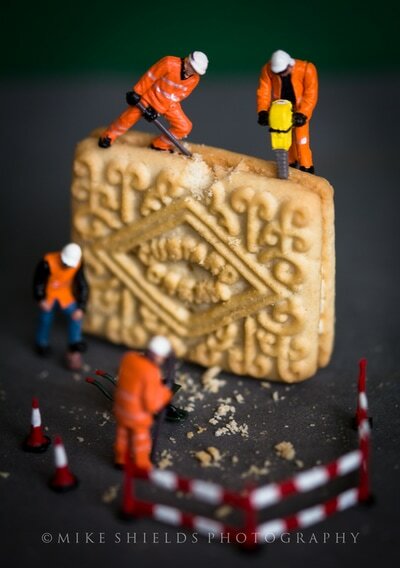 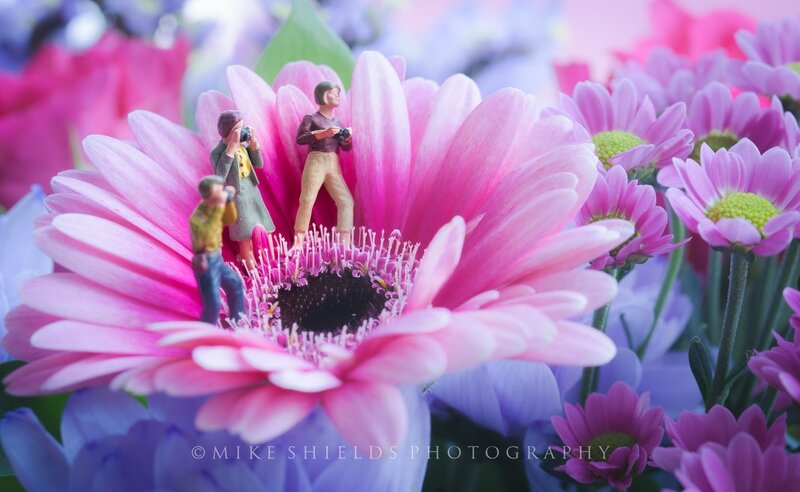 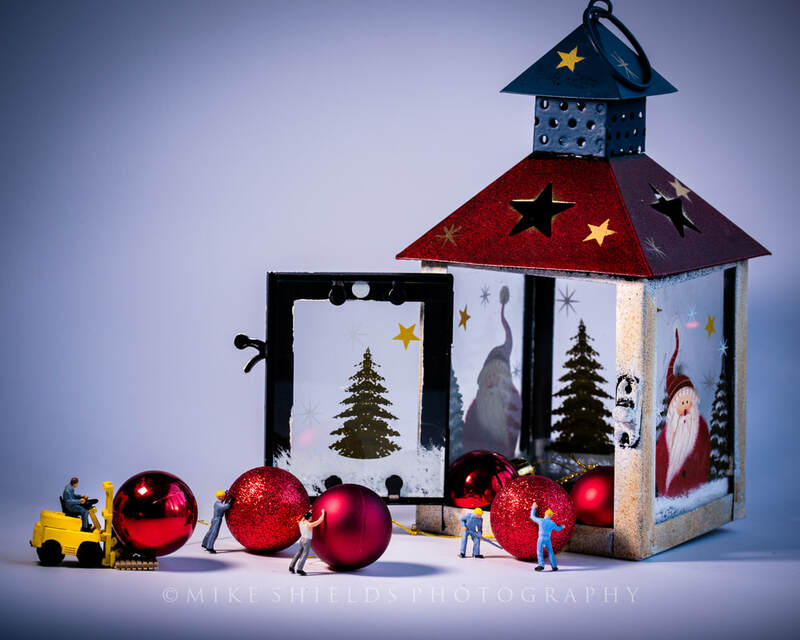 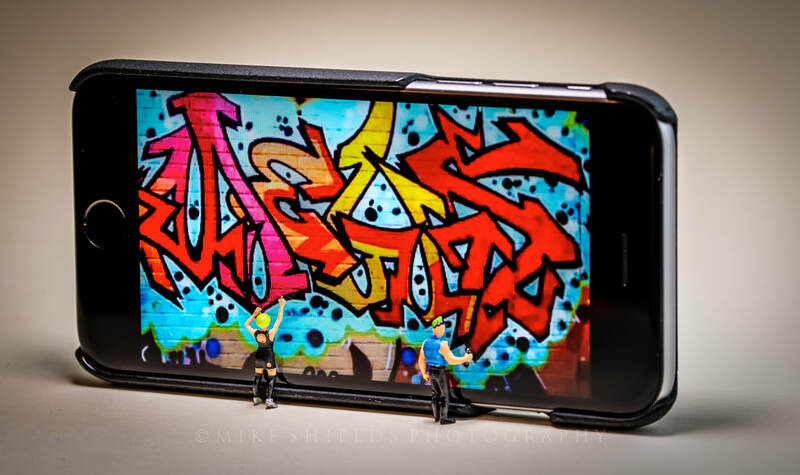 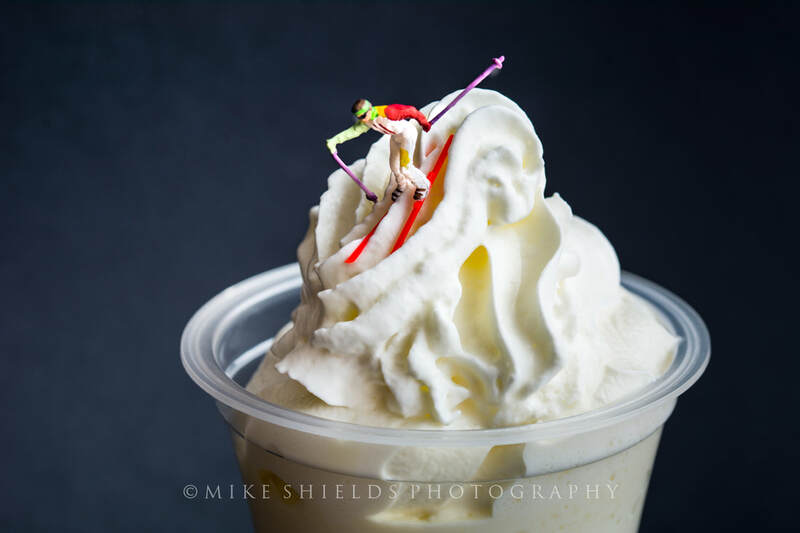 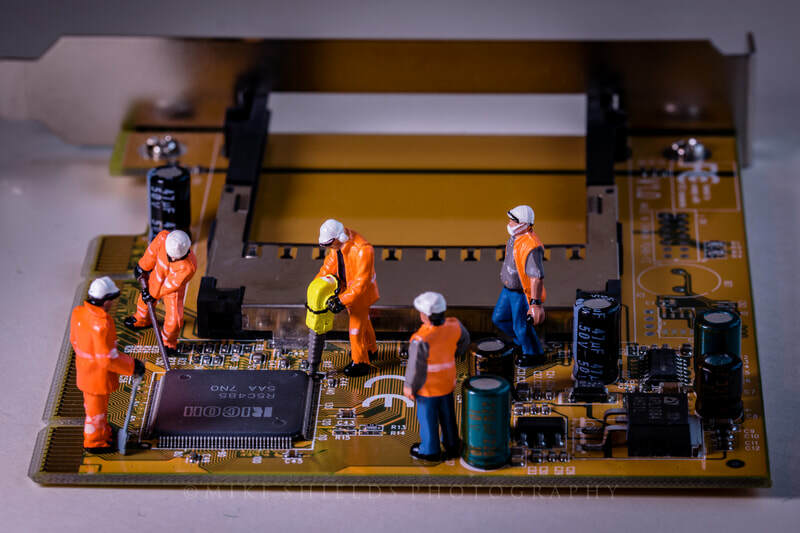 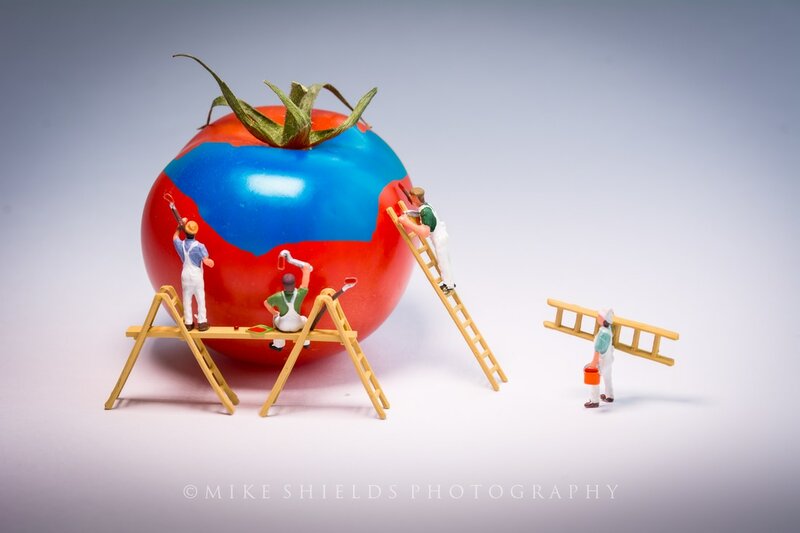 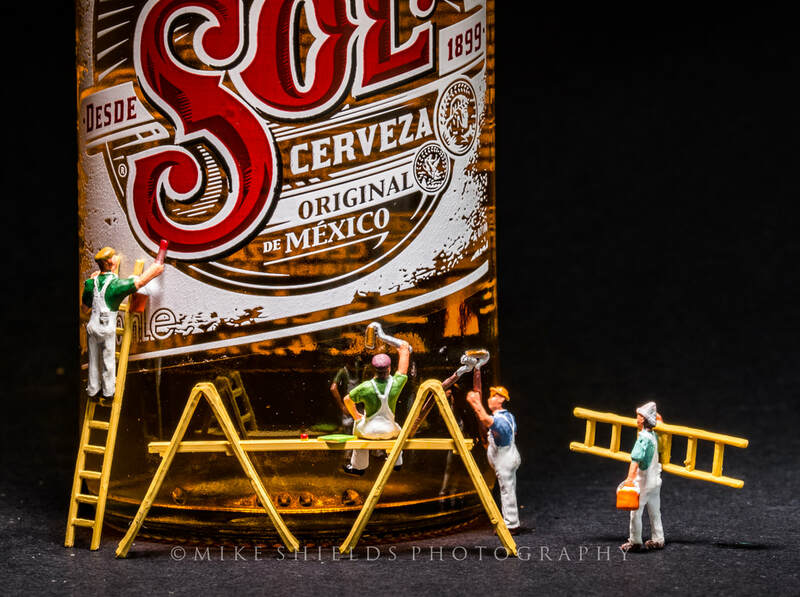 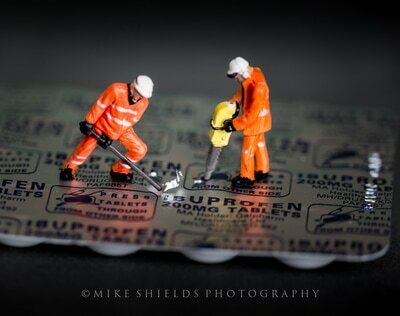 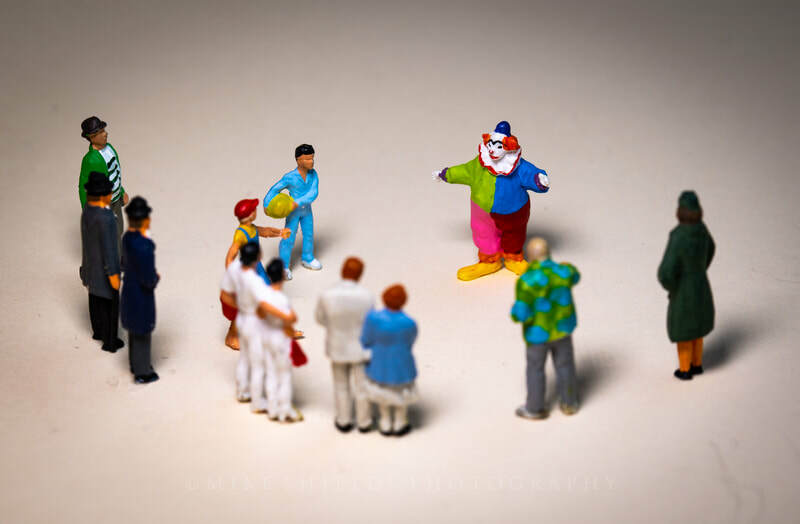 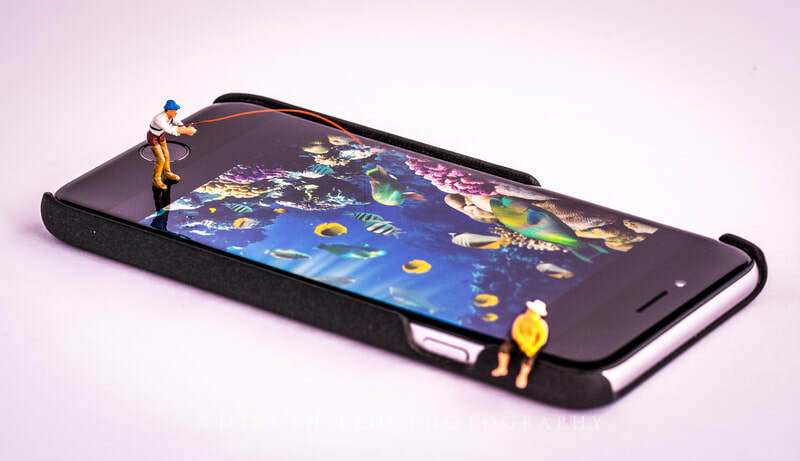 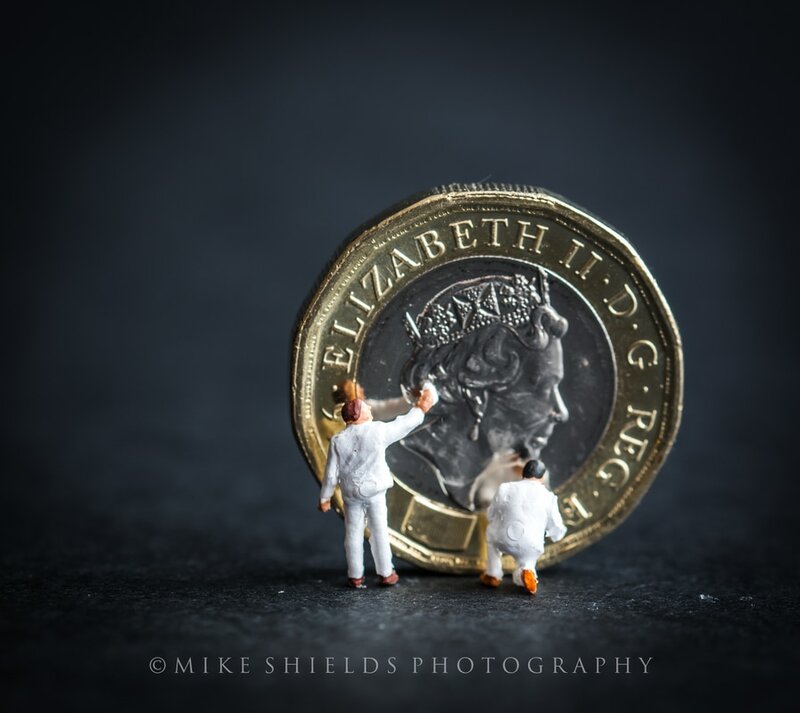 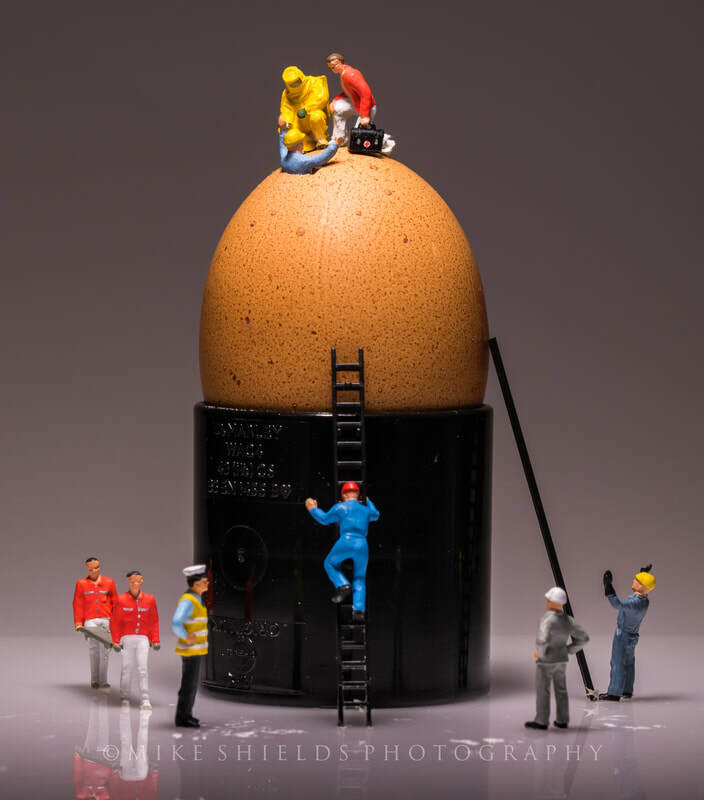 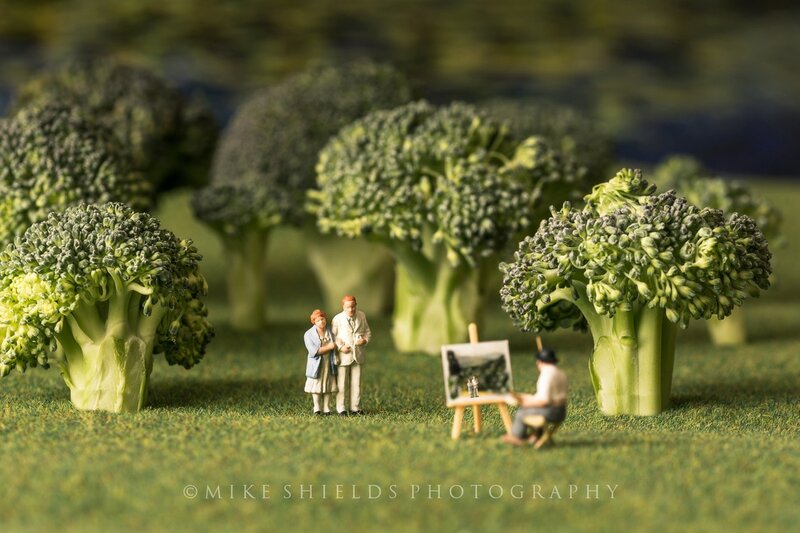 While browsing the internet one day I came across a photographer from Japan called Tatsuya Tanaka, he was making little scenes with miniature figures for every day of the week..! 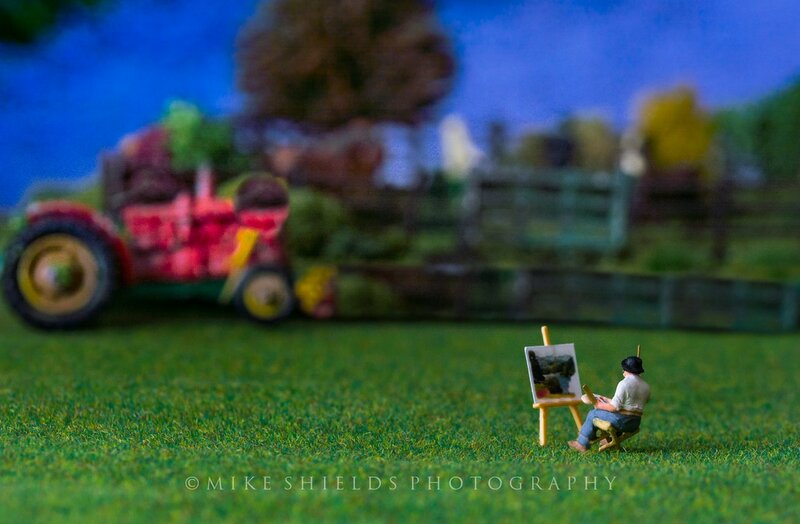 I loved what he was doing so I thought I'd give it a try... 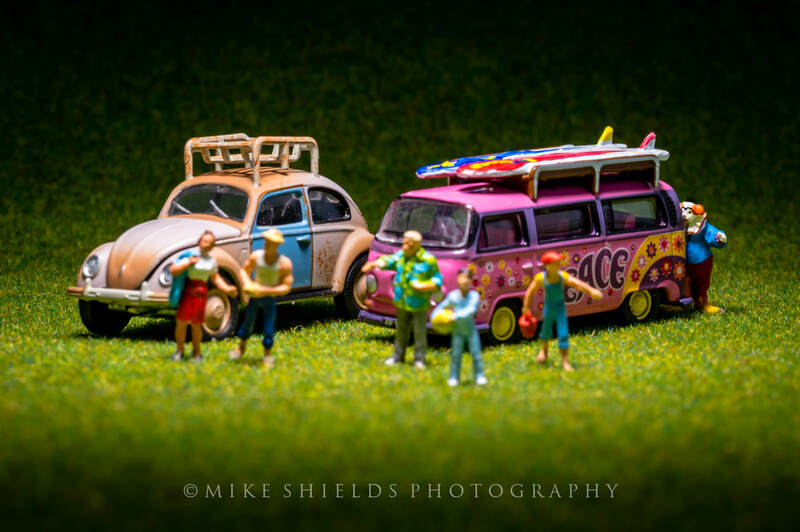 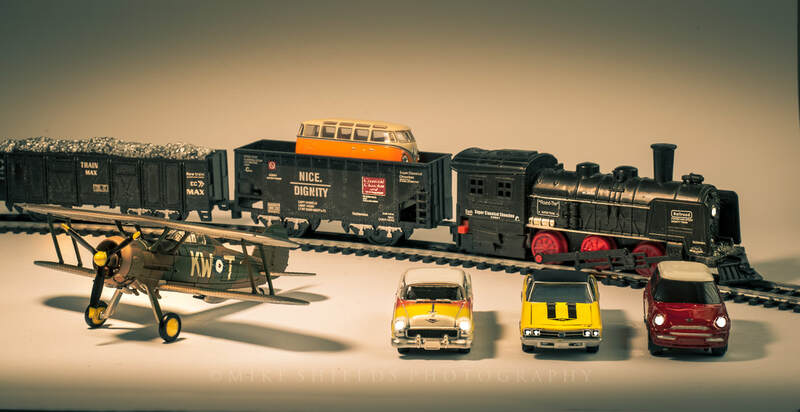 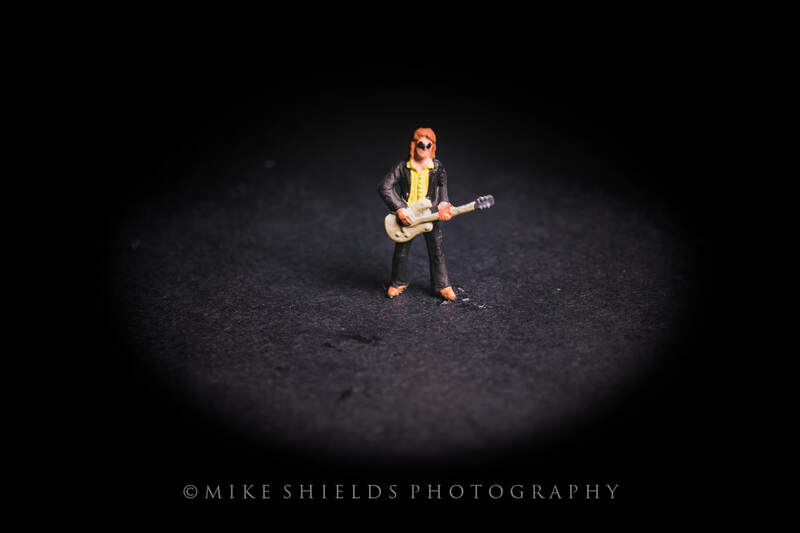 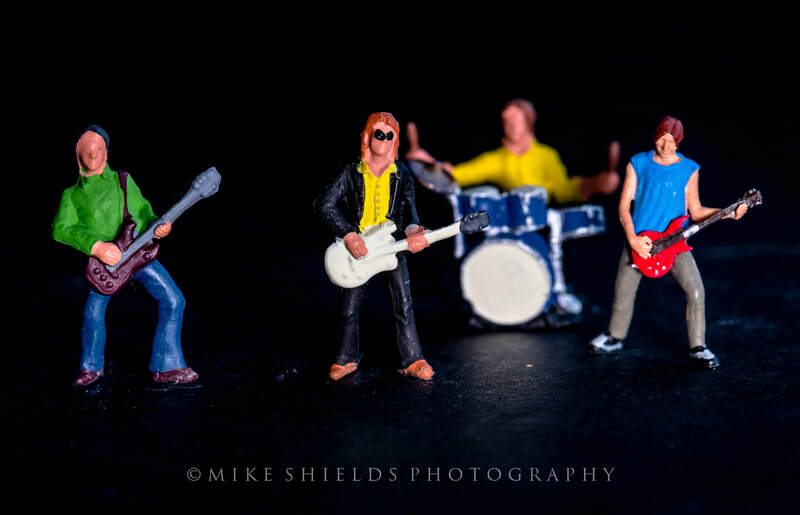 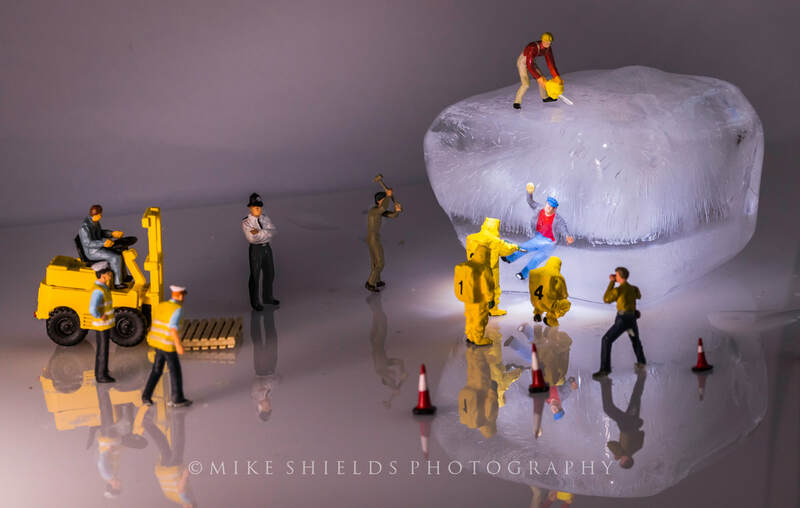 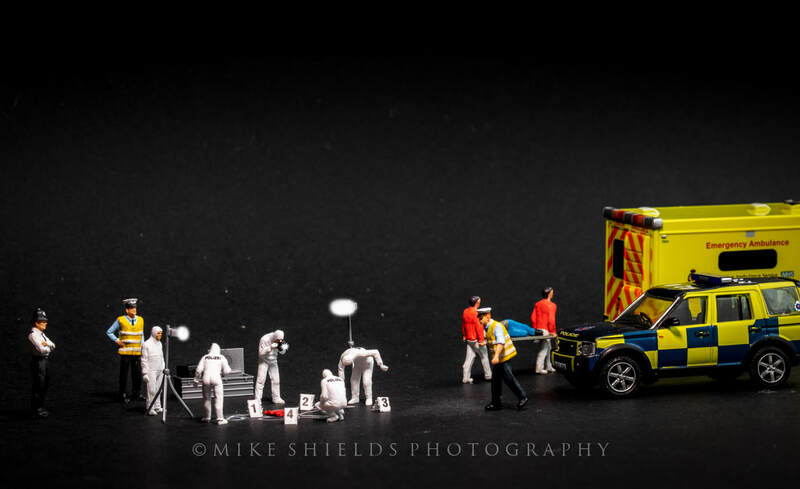 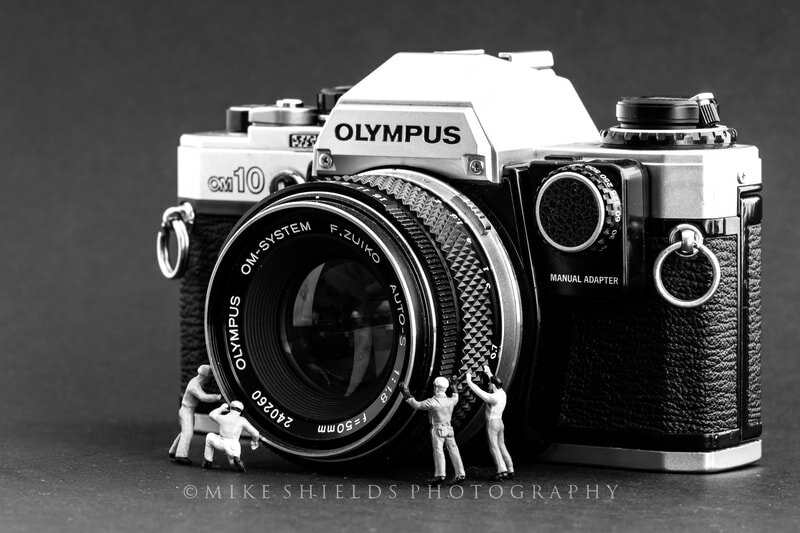 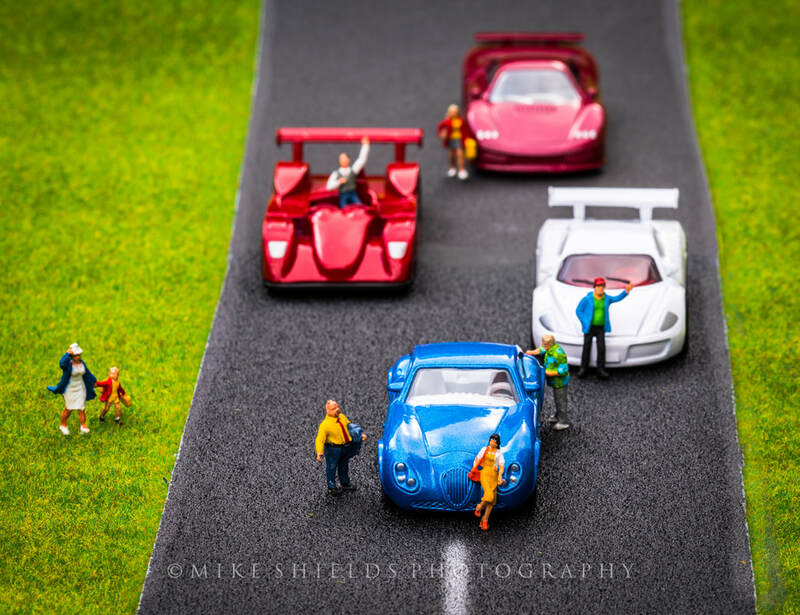 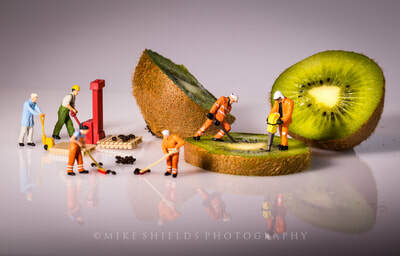 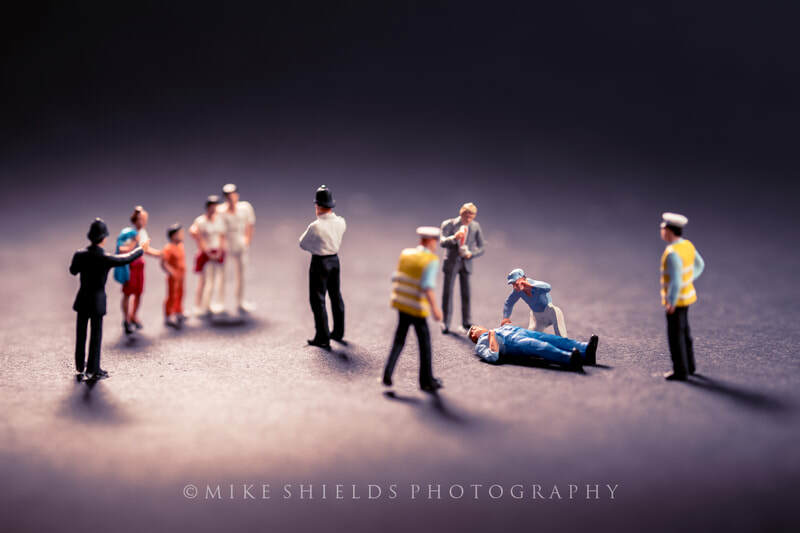 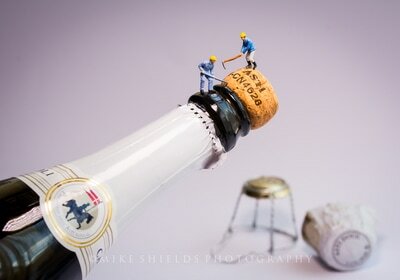 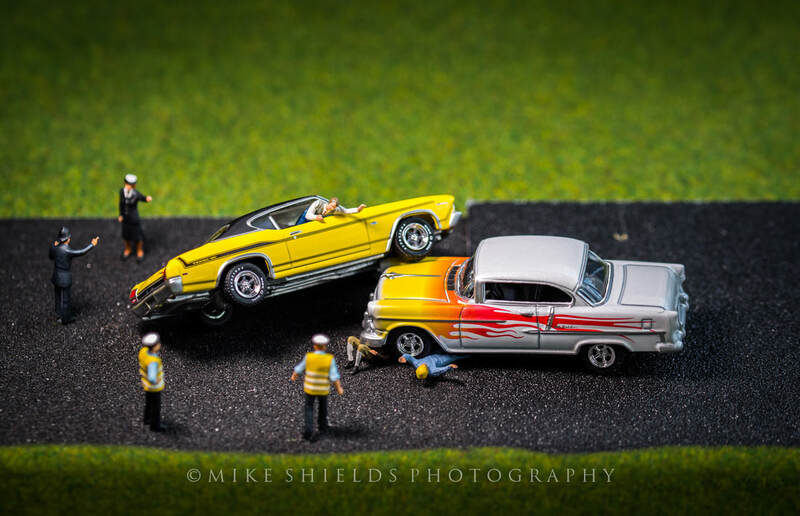 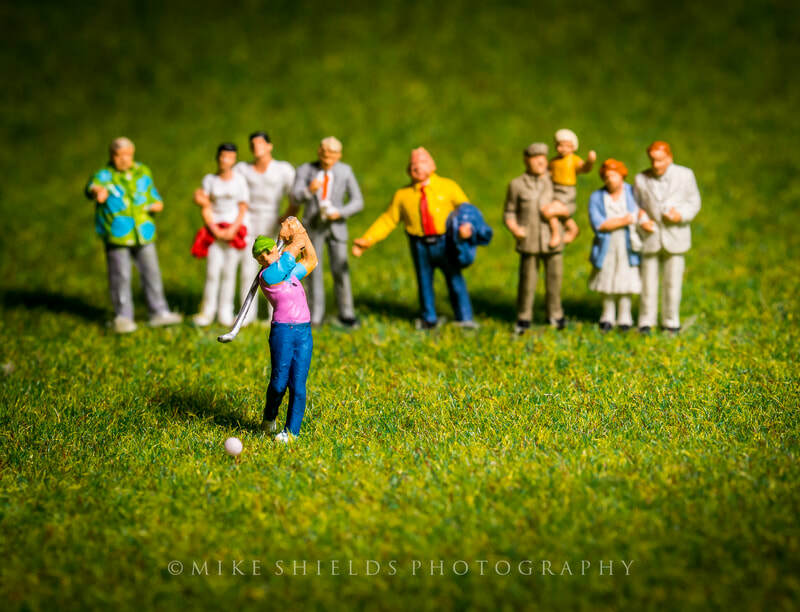 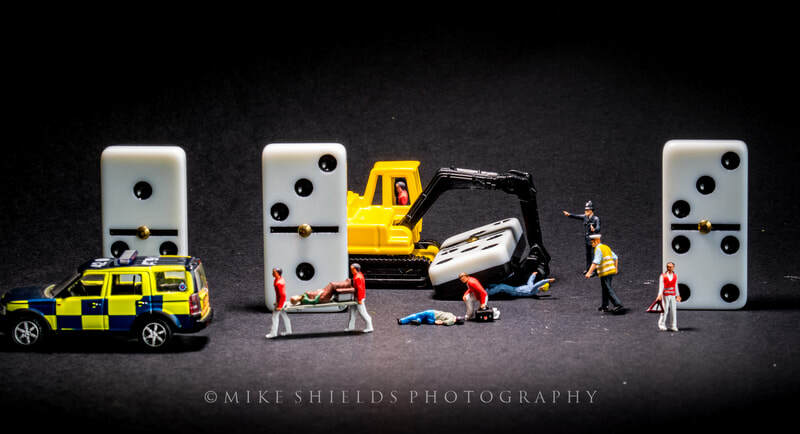 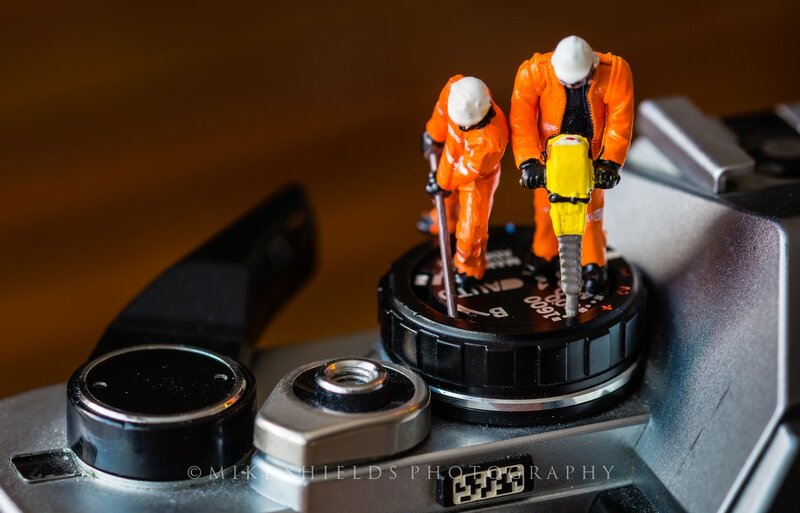 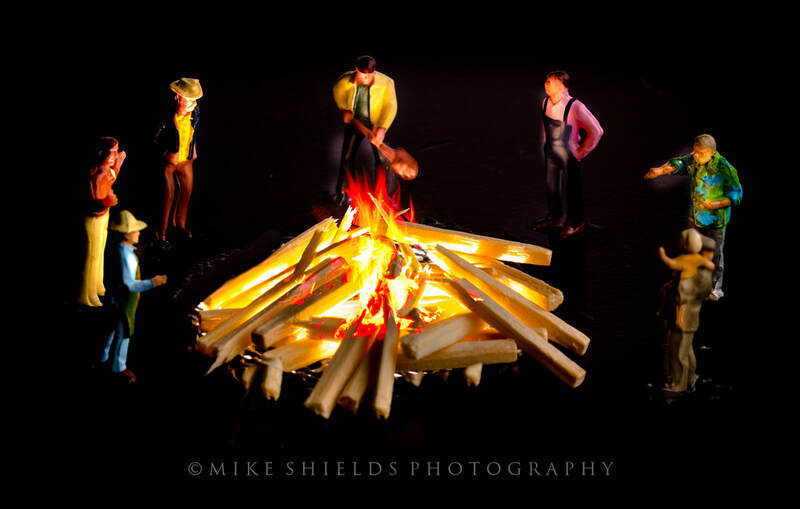 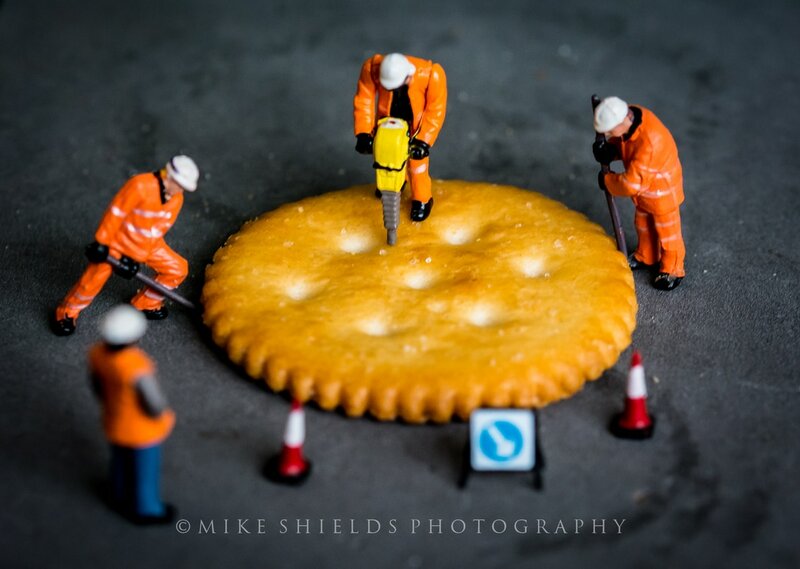 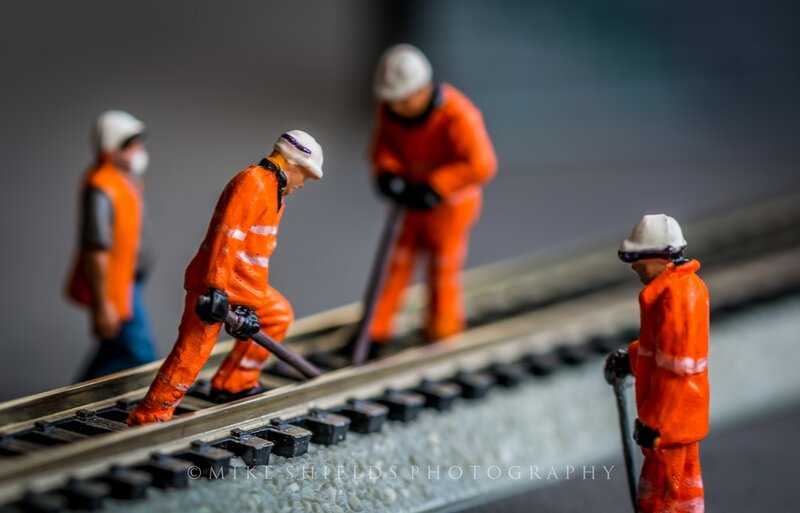 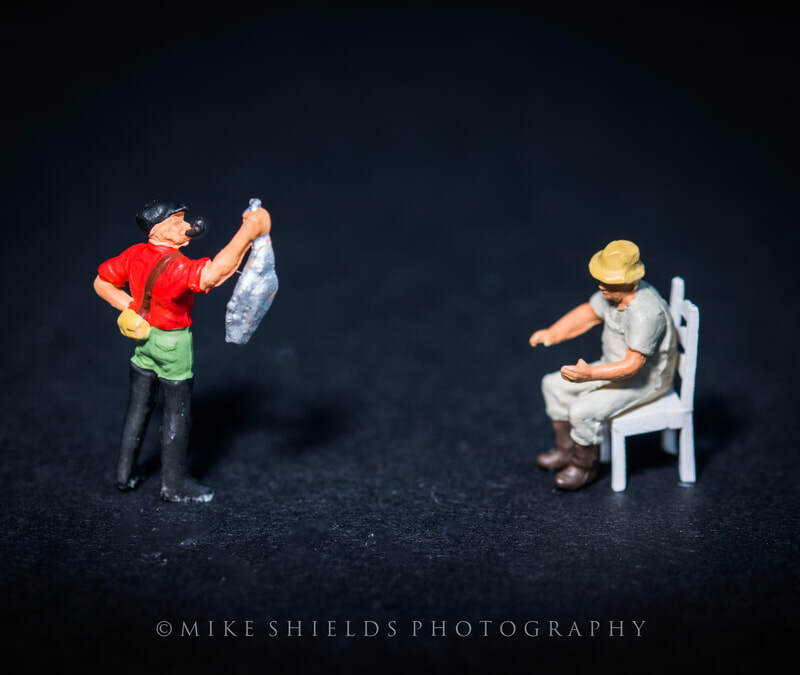 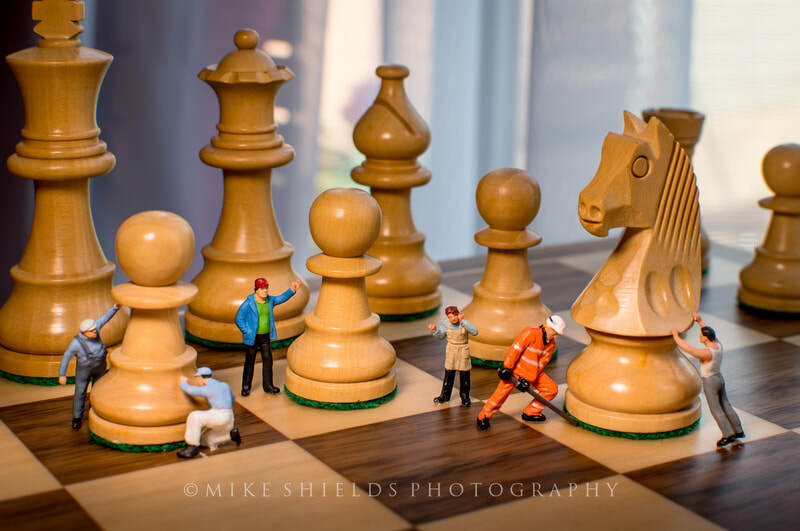 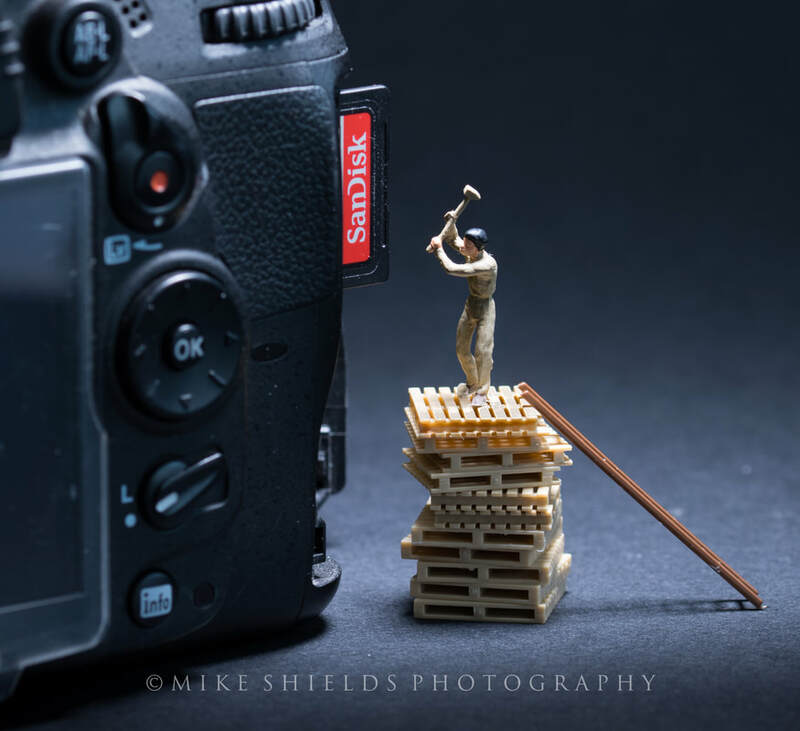 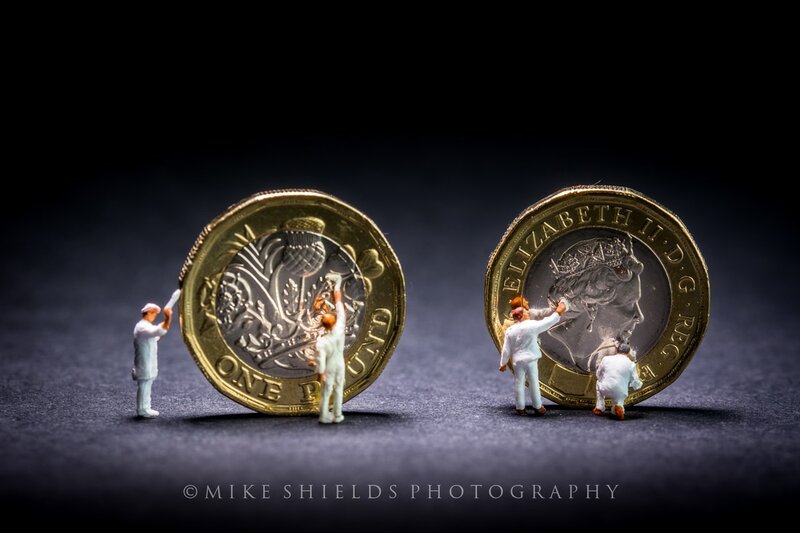 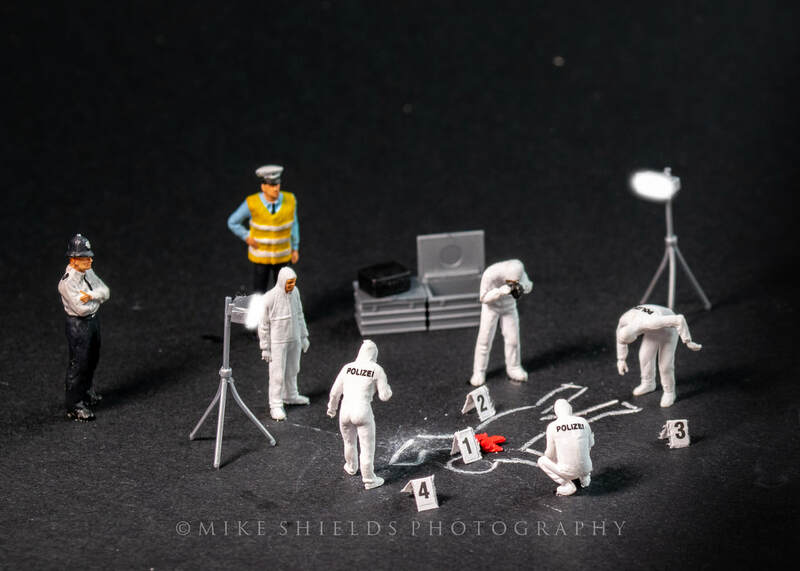 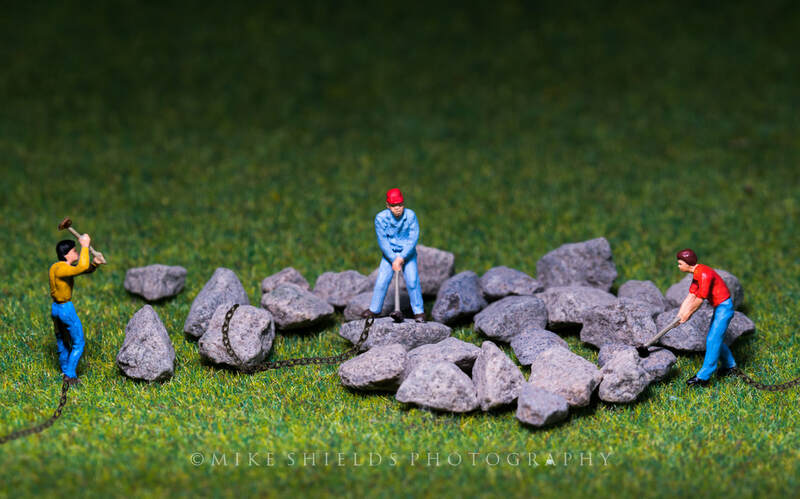 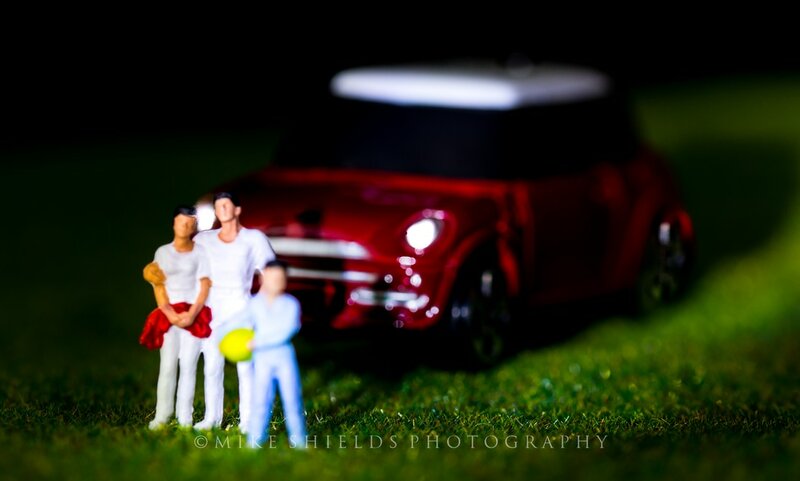 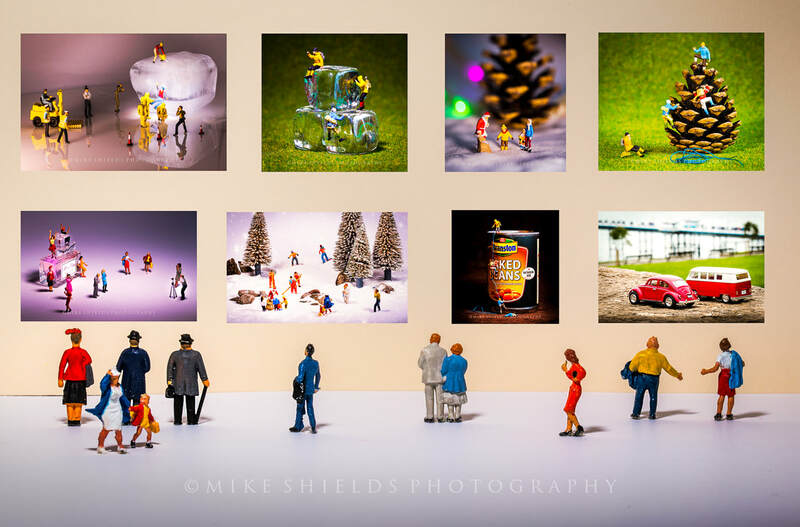 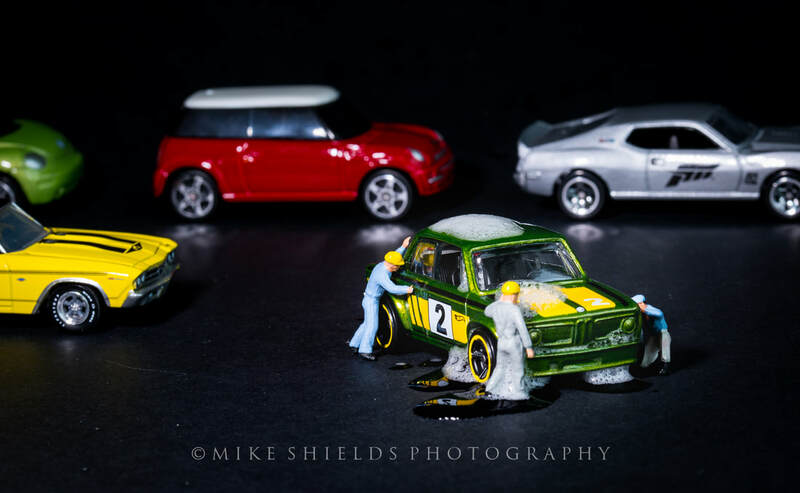 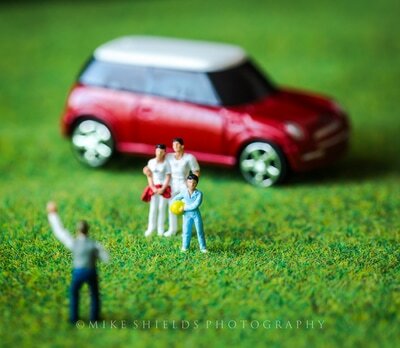 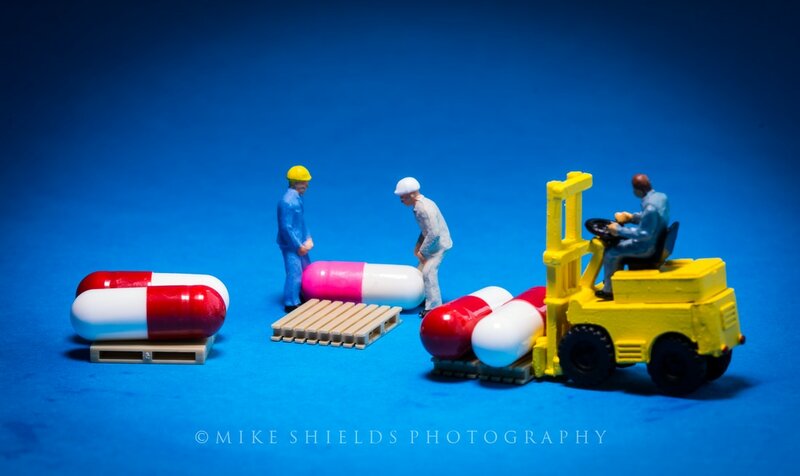 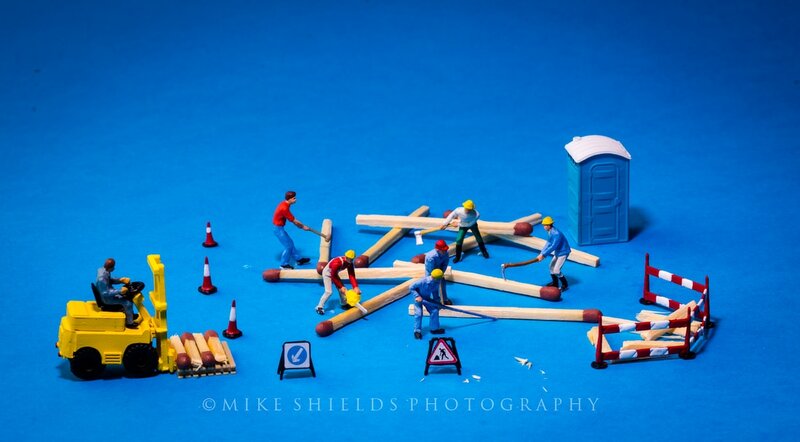 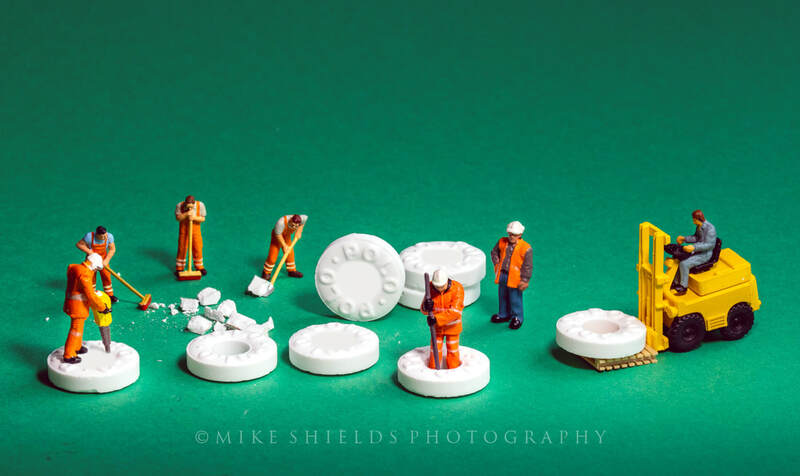 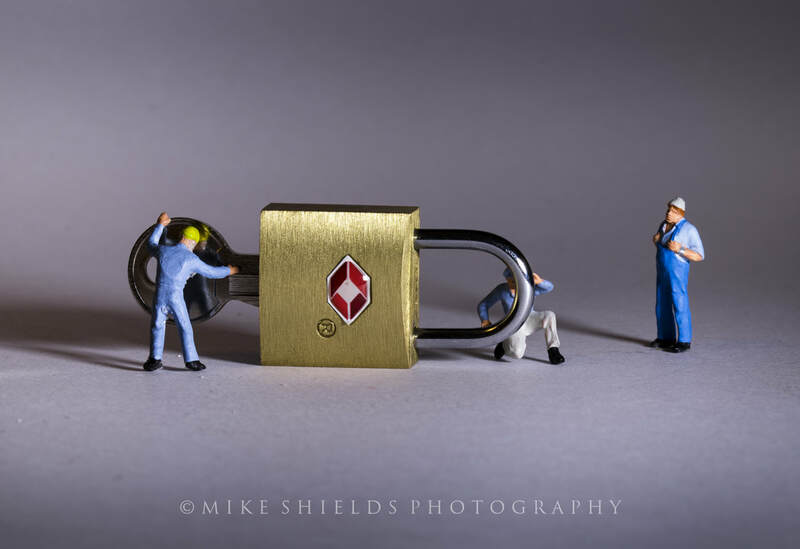 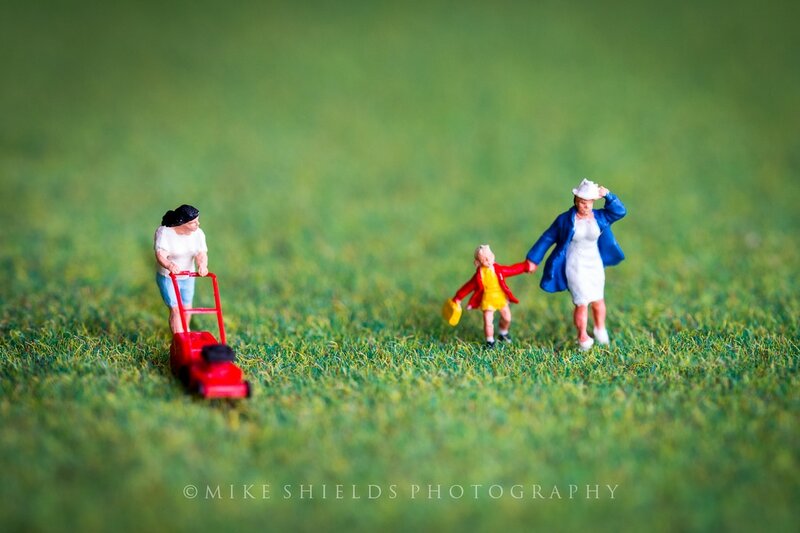 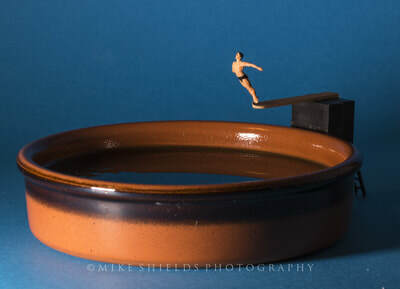 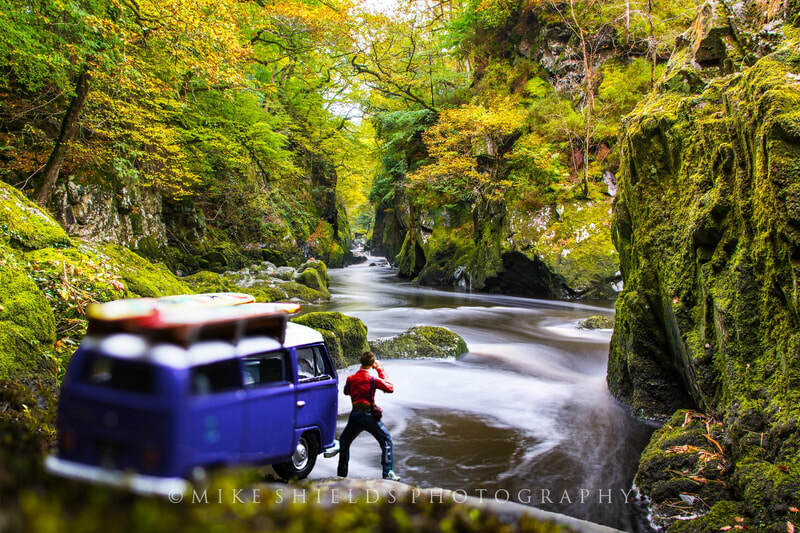 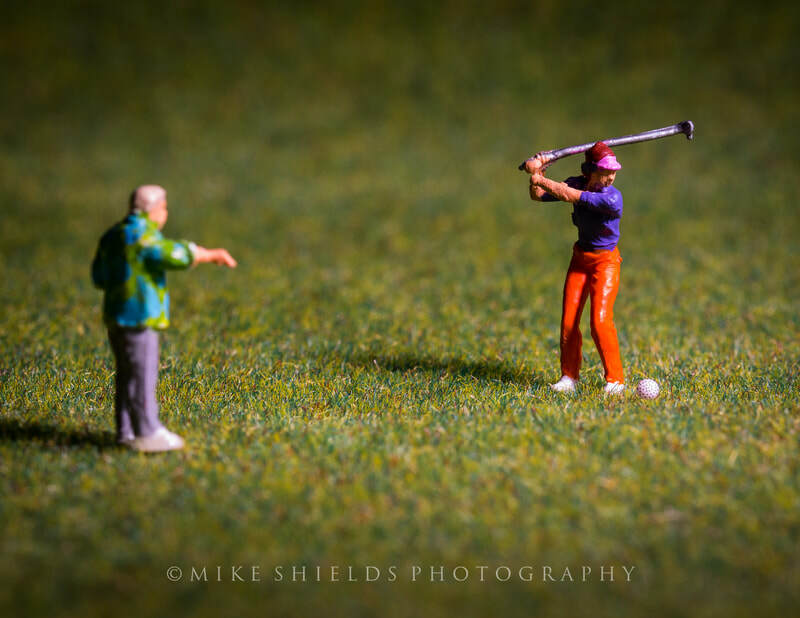 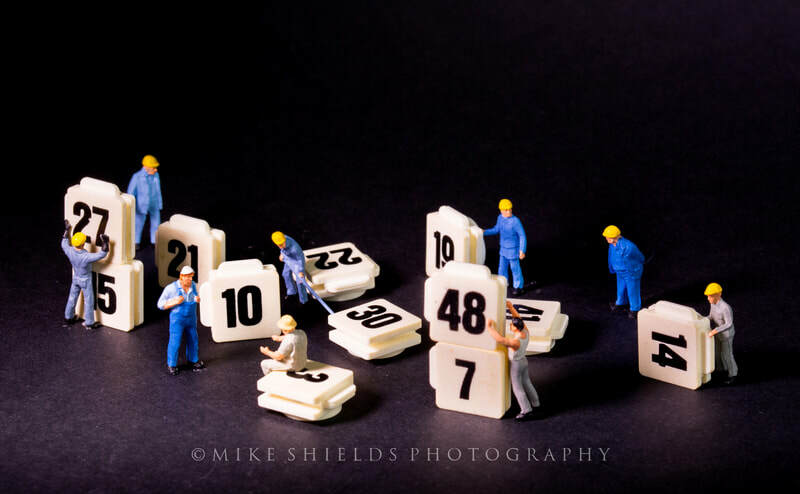 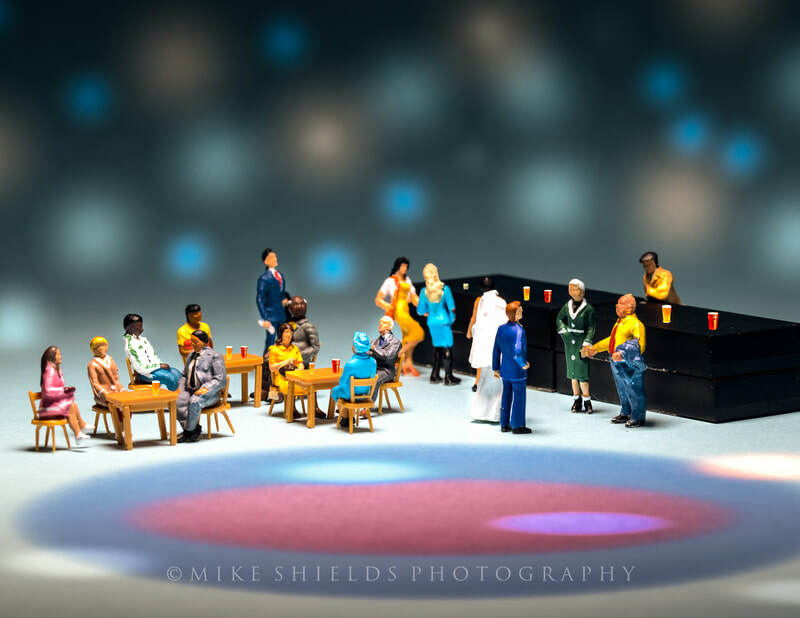 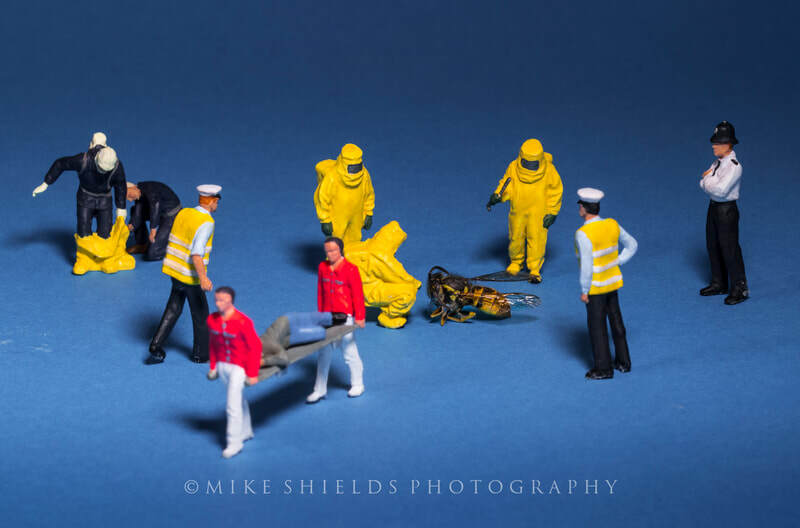 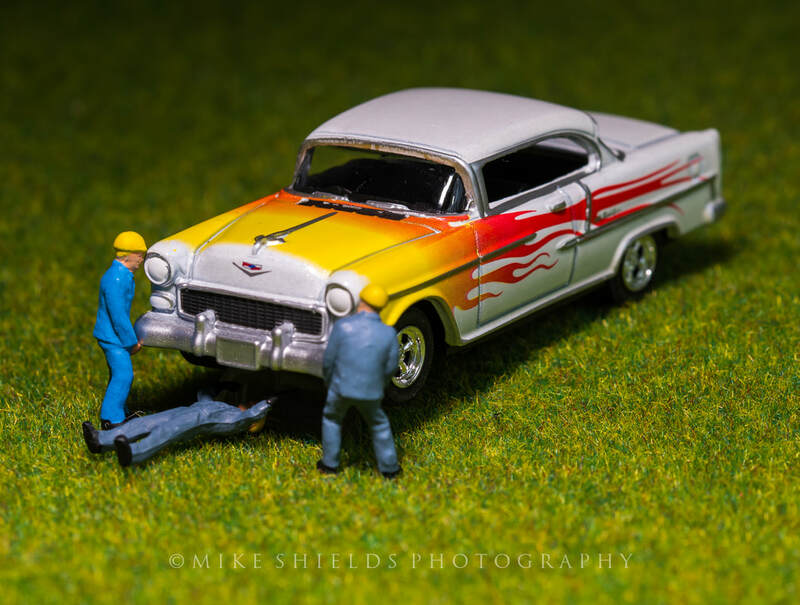 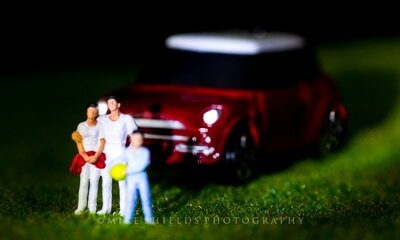 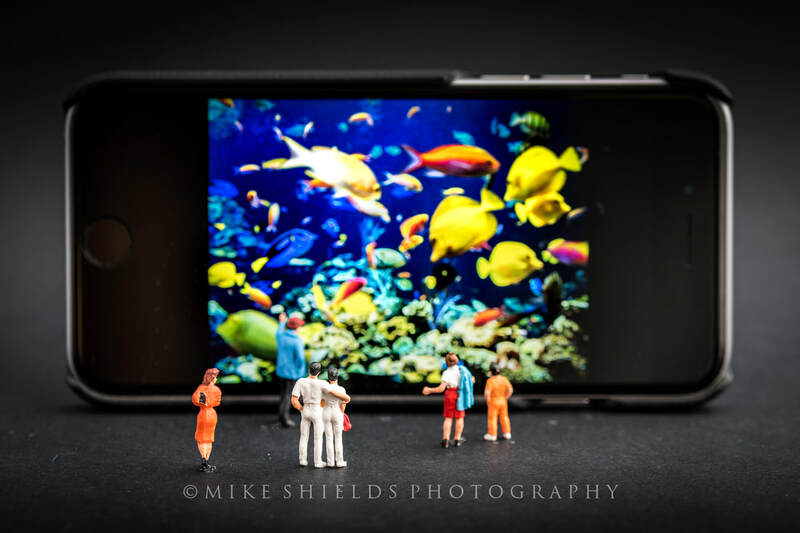 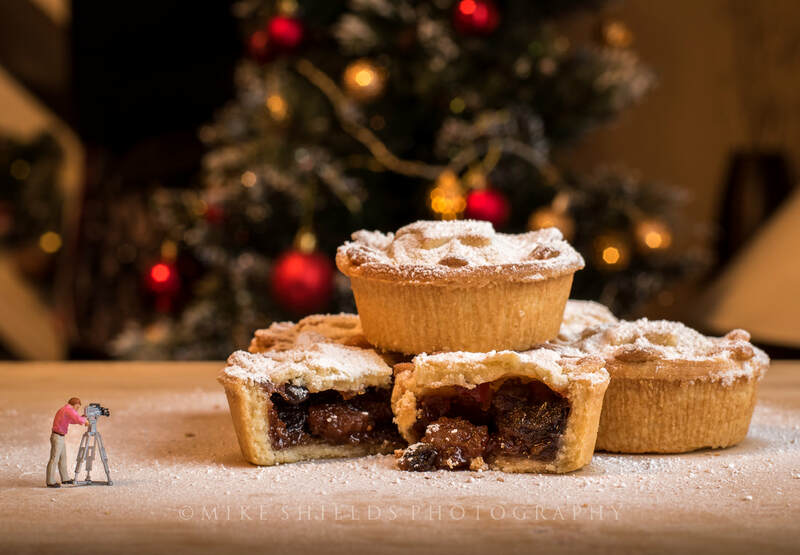 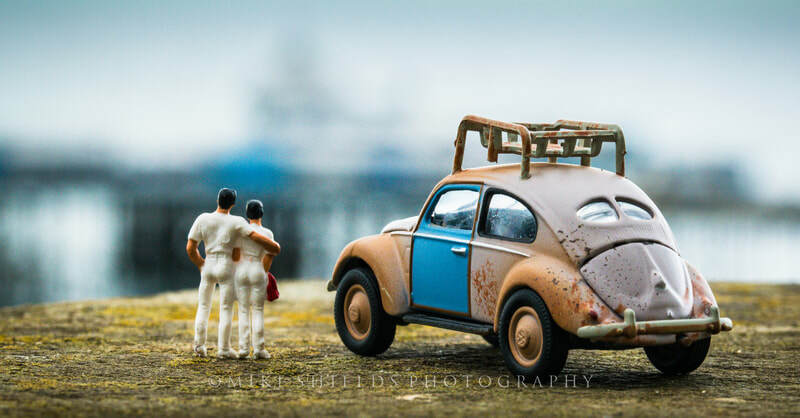 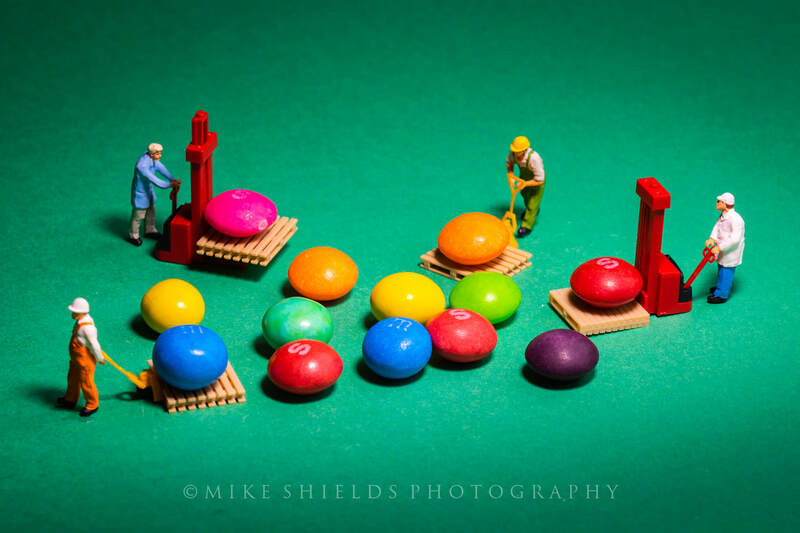 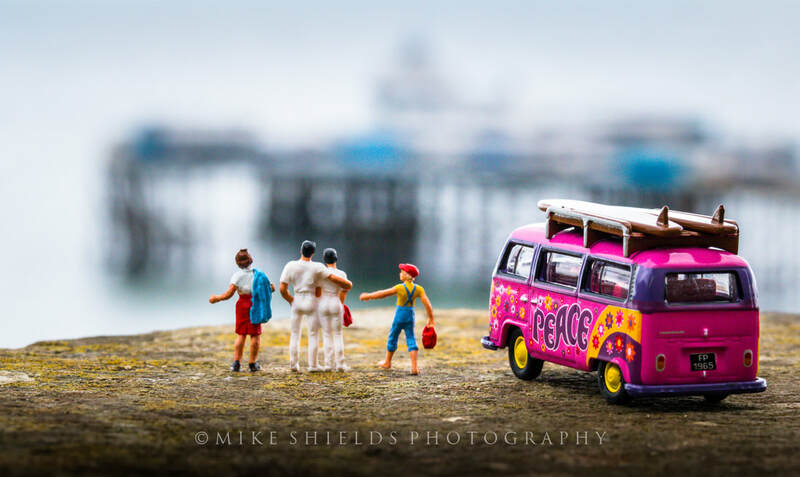 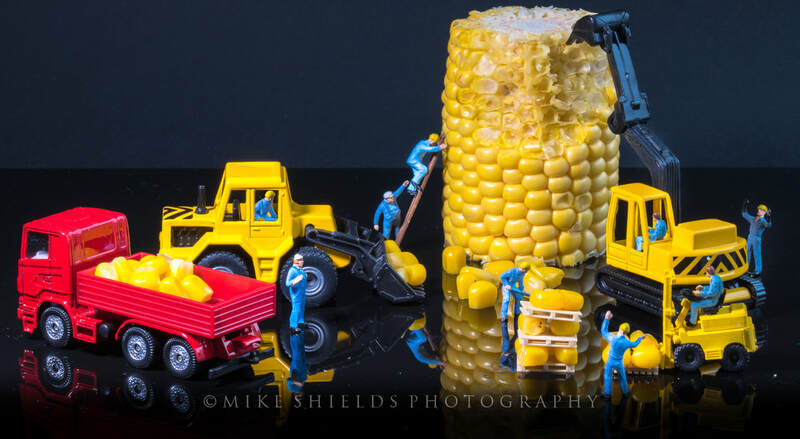 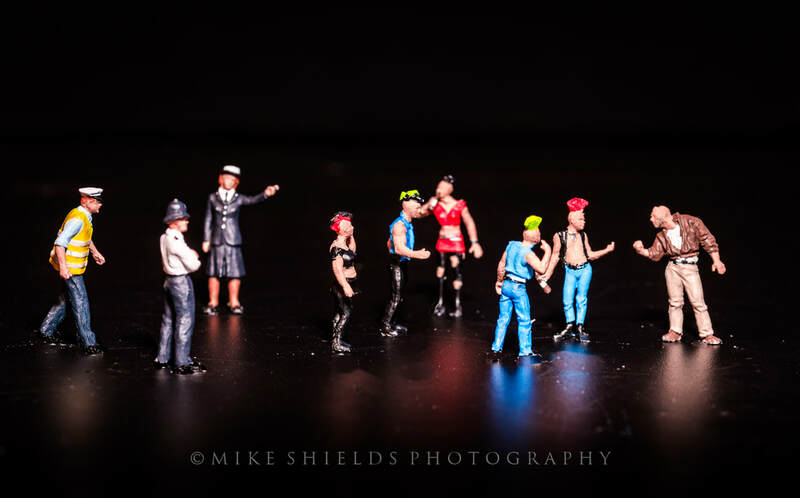 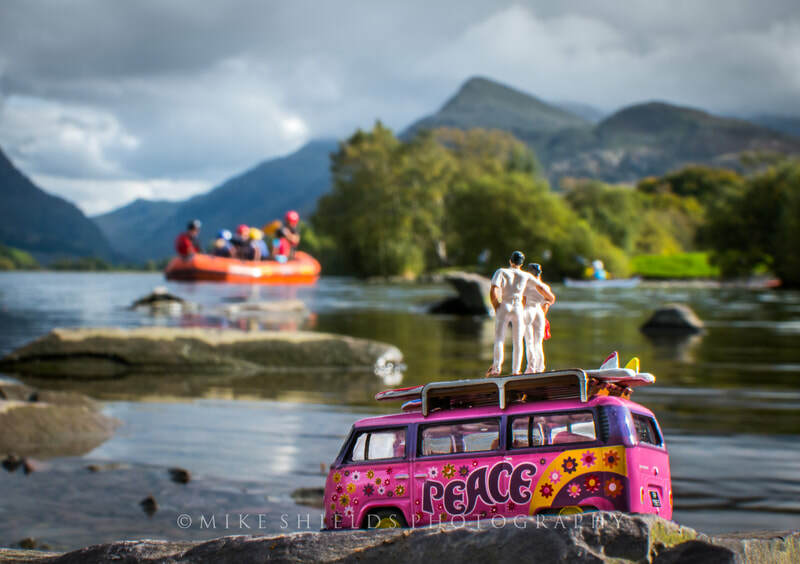 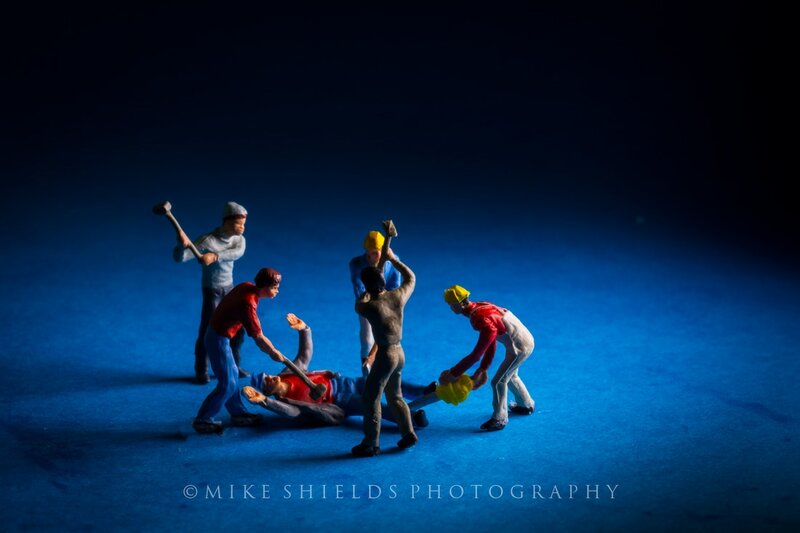 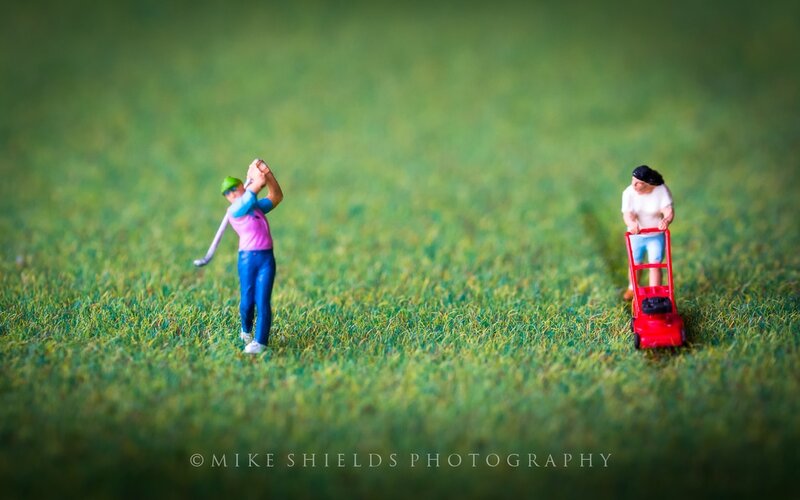 The miniature people I use are approximately 2.5cm high, I have over 400 at present including tools, machinery, cars, fork lift trucks, pallets ladders etc... 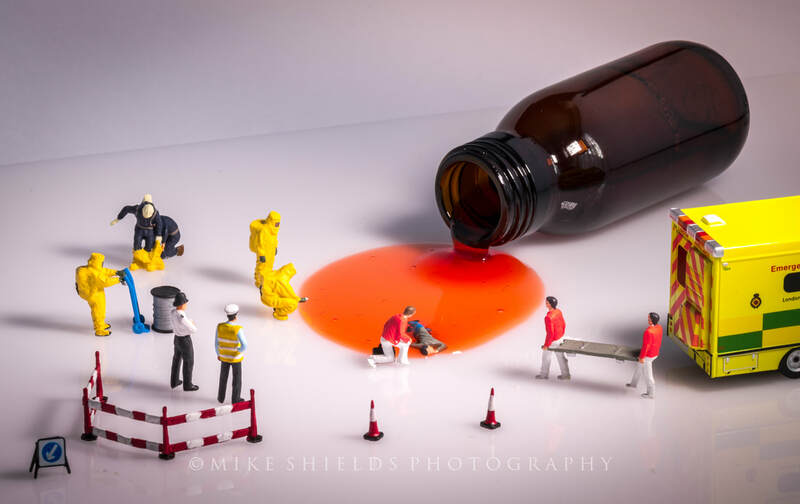 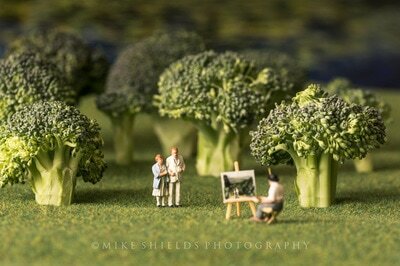 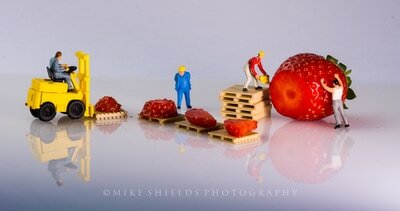 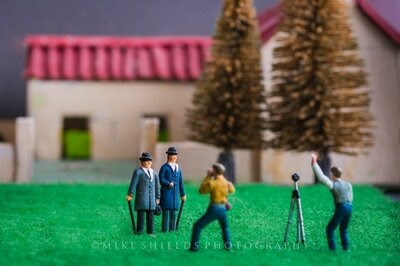 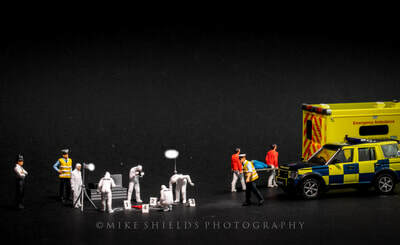 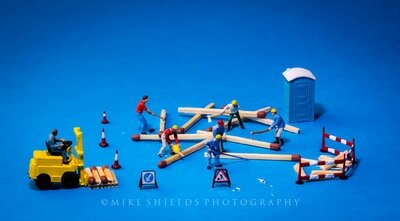 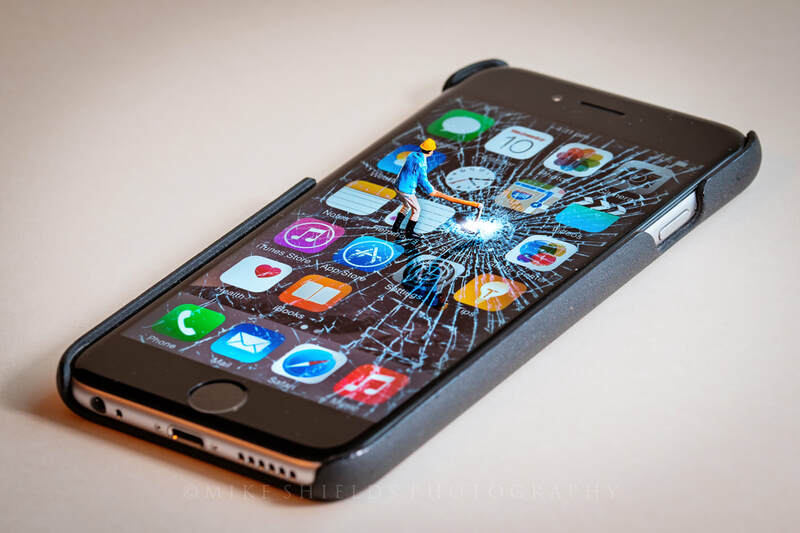 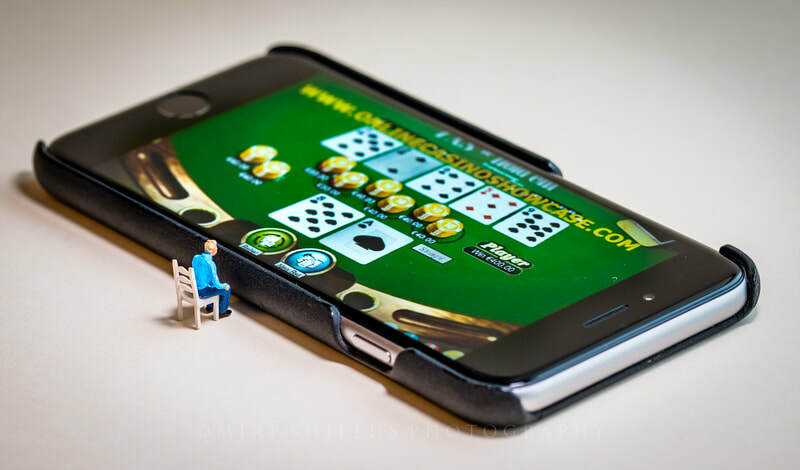 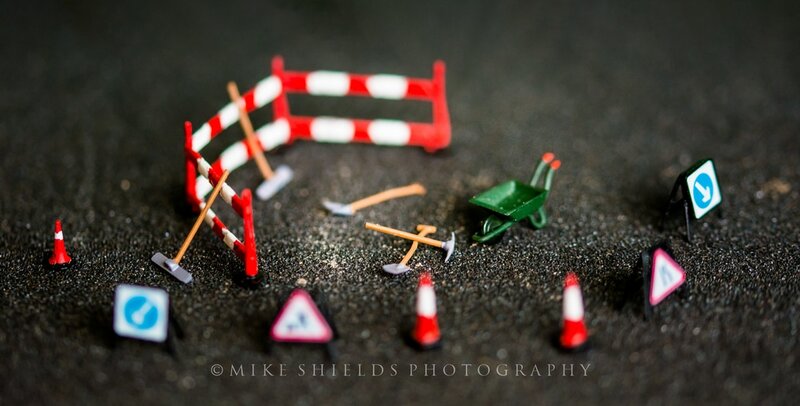 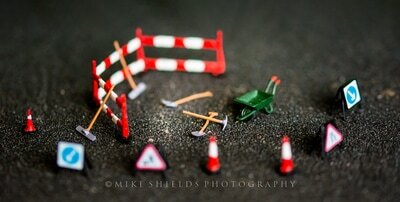 Everyday items can be used with the figures to make scenes that could be real life scenarios with a twist. 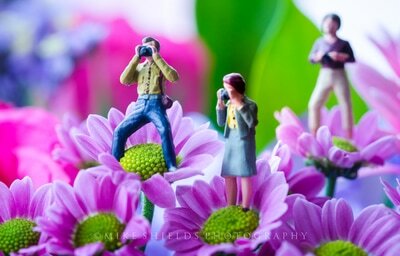 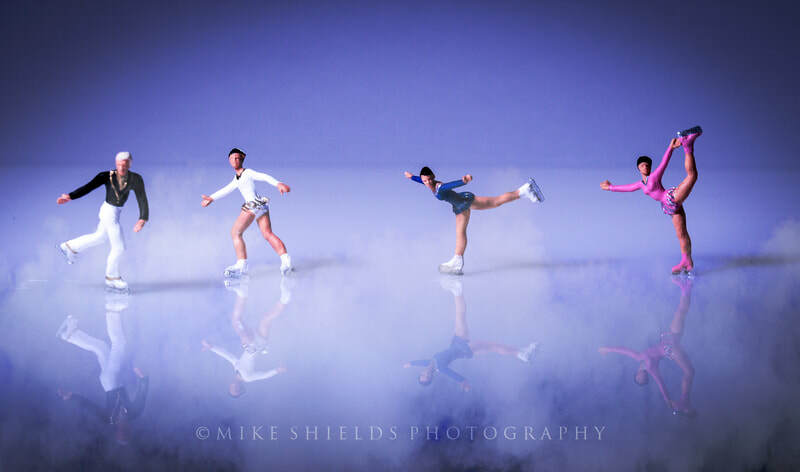 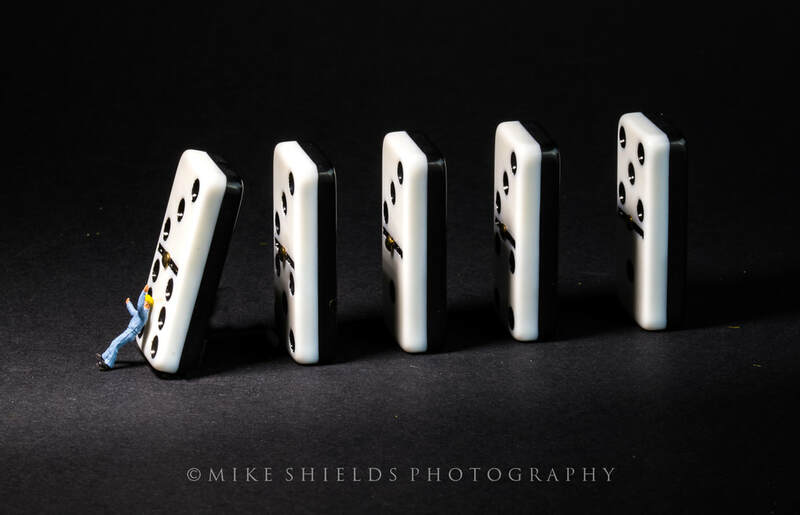 They are set up in place and photographed with a DSLR Camera and a Macro Lens on a Tripod to make them appear lifesize in the images. 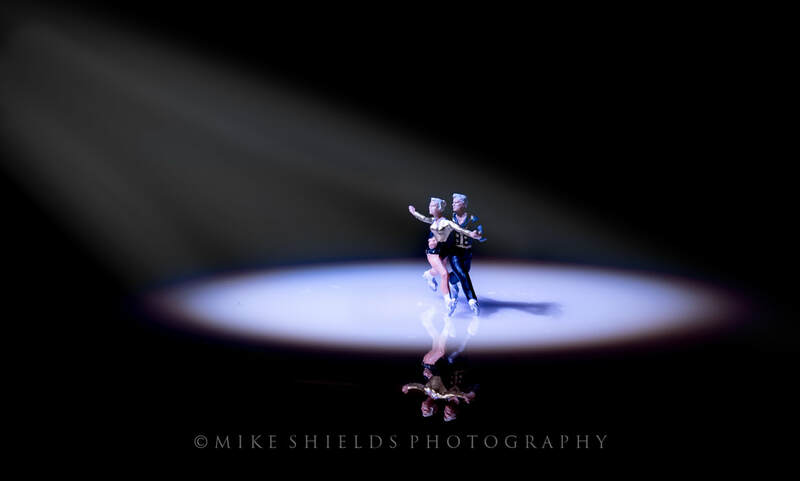 I add some directional lighting with a small LED light to achieve the atmospheric look. 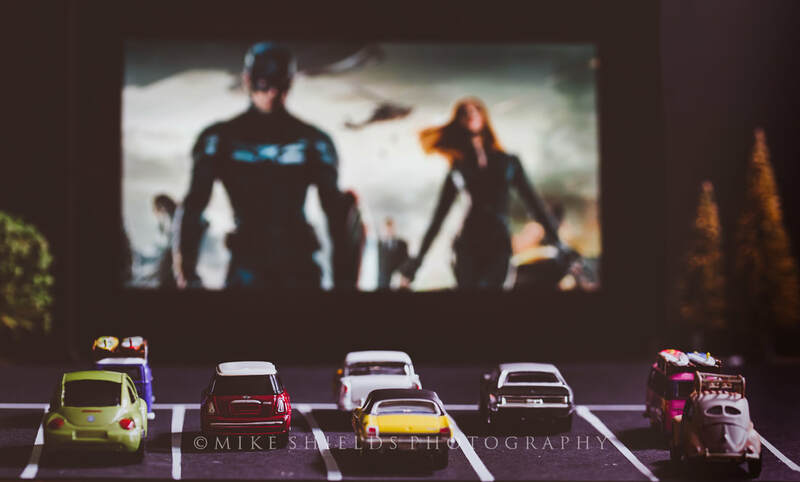 Also check out my Mini Movie Memes which enact a scene from a movie, suggest the title in a quirky sort of way, or even hint at it using a slightly different wording.